There are many ways to generate energy outside of the standard energy/electrical grid. This presentation is limited to one device but provides a list of examples as to how it can be used in a business and investment model. I’ve chosen the “Green Steam”, Steam Engine as a means of producing energy on a community scale. The basics of the invention is that it’s an axial piston fluid engine having single-acting cylinders incorporating swivel-joint attachment of the cylinders to rotary control valves wherein straight-line piston movement is established for the elimination of side forces on the pistons. The pistons and the control valves are connected to a common wobble drive member and arranged in geometry of lever positions to co-actively time the drive fluid into and out of the cylinders intermittently. A basic mid-size engine could start at a suggested price of $499. to $1500. depending on the size. Added accessories could fill out a complete system that could sell for between $2500. to $10,000. depending on the size. The accessory package could include a generator, a water distiller, an inverter, a battery, a pump, a boiler and a choice of burners that use different fuels. A steam engine electrical generating system is exactly the same as a windmill system, therefore, no new technology needs to be developed for that part of the system. Boilers are very old well established products. However, new, small boilers dedicated to steam engine technology will need enhanced designing and updating. Simple and inexpensive boilers are prolific on Youtube and the Internet. The system I’m wanting to build includes a boiler and a solar concentrator such as a Fresnel Lens mounted in a frame that tracks the sun with a heliotrope. The heat can be absorbed into a heat exchanger to produce hot water and pressured guided into the boiler. The heat can be regulated enough to produce heat energy to power the steam engine and generate electricity and hot water. Cash flow could come from leasing the apparatus to communities and maintenance agreements. One very possible parts supplier is Alibaba.com who can deliver items we need in high volume/low cost. We will need a marketing plan to go with a completed business plan, and we should decide on financing at some point. Maybe we can put the cash up front, but it’s still a good idea to obtain financing. 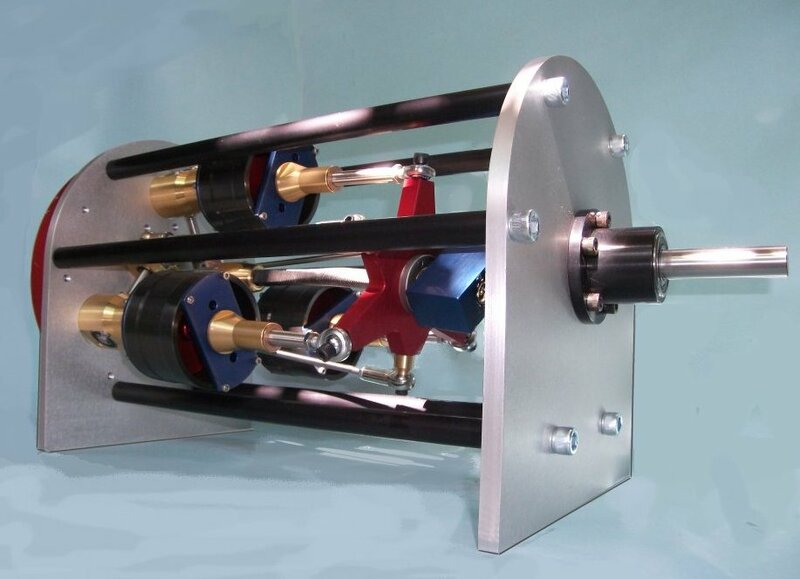 A Green Steam Engine system can offset the electrical and heating needs (reduce the load) of a small community, business, or small group of homes, such as in groups of 4 or 6 for each system. This system can also produce hydrogen for energy storage to be used during periods where there is little or no sunlight. Your car engine is defective if it’s getting less than 100 miles per gallon. There is vacuum and other technology, that is fairly old, which has been excluded from today’s engine manufacturing so that people will need to buy more fuel and pay for more maintenance on their car engines than necessary. The fuel injection technology was developed by the car manufacturers when people began discovering that the carburetor could be modified to give engines an efficiency of more than 1,000 miles per gallon. In fact, it was the car manufacturers that discovered this through their own research. Yes, that is more than one thousand, not just one hundred. I’m not going to discus this because the vast majority of cars people are using now have fuel injection and the carburetor research is fairly easy to find. The fuel injection system we use today involves a “throttle body” and this along with the spark plug specifications and the positive crankcase ventilation or “PCV” valve can be modified (upgraded) to give gas engines, at least double the efficiency they are now getting. We should be getting at least 100 miles per gallon by simply correcting what the manufacturer deliberately did not build into the engine. I’ll bet you never thought that your car engine was manufactured defectively, but I’ll bet it will really set your head spinning when you realize that it was deliberate. I’m not technically inclined on this subject, so I must include a detailed explanation from one of the inventors himself, Ron Hatton. Here is how he explains it. In March of 2009, while speaking with a pilot who holds several records for fuel efficiency in flight who was describing the turbulence over his wings, I had an idea. If I could make that kind of action occur inside an engine, something good would happen. Almost immediately, the shape and location popped inside my head, accompanied by an energy that made it impossible for me to do anything but apply this modification. Beginning with a 2000 Land Rover, we began to find it working to enhance combustion characteristics across all gasoline engines. Now, more than three years later, this technology has spread to more than 20 nations and is in almost every state in the union. Basically, what we have discovered is the shape or a “groove” that I call “The Gadgetman Groove”. It has a profound effect on the naturally occurring pressure curve inside the intake manifold in such a way as to reduce the pressure available as the fuel is delivered to the cylinder. This reduction in pressure has the added effect of increasing the quantity of fuel that is in vapor state at the point of ignition. Fuel that is normally burned in the exhaust (so-called “Waste Fuel”) is given what it needs to burn inside the engine, enabling tremendous increases in fuel efficiency and all that means to an engine AND the environment. The normal process of the intake cycle generates a condition of reduced pressure inside the intake manifold. This is called “Vacuum” and represents anything below normal atmospheric pressure and is measured in Inches of Mercury (Hg). As an engine ages, the seals that create this vacuum deteriorate (ring wear, broken lines, dried and cracking diaphragms). As the vacuum drops, so does the efficiency of your engine. This is because of a little considered scientific law called “The Law of Standard Temperature and Pressure” or “The Ideal Gas Law” which, simply stated, is “At a standard pressure and a standard temperature, fluid X requires Y amount of BTU’s to change states.” As it applies to us here in the world of fuel efficiency, if you reduce the pressure on a liquid, it will vaporize at a lower relative temperature. Gasoline is a liquid. Oxygen is a vapor. You cannot mix the two under normal conditions. They must both be in the same state to blend (liquid to liquid, vapor to vapor). As you will never see the amount of pressure inside an engine necessary to liquefy oxygen, you can forget that approach. BUT! Since there is already a vacuum present, you CAN enhance the wave already present, providing the conditions appropriate for blending the fuel with the oxygen, a prerequisite for combustion. Normal engine vacuum is considered “ideal” at about 17” Hg. But, as we discussed earlier, this is just a figure, and all engines will have different values here, as will the temperature-to a greater or lesser degree. It is the vacuum (in conjunction with the manifold temperature) that causes some of the fuel vaporization, enabling the fuel to burn faster at the point of ignition. These vapors, when ignited, then supply the BTU’s the rest of the fuel compounds require to vaporize, so they may complete the combustion process. Combustion will continue until either the fuel or the oxygen is depleted to the point it will not support further combustion. Unfortunately, the fuel we are given today to run our engines burns so slowly that most of it is consumed in the catalytic converter. Therefore, if you want to increase the rate of combustion (and clean up your emissions!) you have to be able to reduce the amount of fuel in the exhaust. The best way to do this is to change the conditions on which the computer bases its fuel delivery. Simply, burn more of the fuel (and the oxygen!) in the combustion chamber. The only way to do that is to get it to mix better with the oxygen, and the BEST way to do that: vaporize more of the fuel! The core problem is that liquid fuel must evaporate to burn completely. Combustion happens so fast that the fuel cannot evaporate completely, resulting in un-combusted fuel being sent to the catalytic converter. This is where the emissions are processed, and where the computer takes most of the information which it uses as the basis for its calculations to determine the fuel requirements. Once you’ve modified the throttle body, you will want to further increase your engine’s efficiency by capping off the positive crankcase ventilation (PCV) valve and then modifying your spark plug gaps beyond the manufacturer’s specifications. My point is writing this article is to explain that the corporations that are supposed to serve people, have instead by serving their owners at our expense. We can stop this, and we can do it in a way that everyone benefits, even the owners and their customers (us). It’s not enough that, for example, the throttle body isn’t made properly, but there are mechanisms in your car that deliberately help to waste fuel, such as the O2 sensors. These sensors prevent you from improving the gas mileage using a technique such as modifying the throttle body, or changing your spark plug gaps. In fact, the specifications for spark plug gaps also keep your spark plugs from operating in the most efficient way possible. Of course I’m not a mechanic and people will criticize what I’m saying here, but at least check it out for yourself and don’t take my word for it. Titles to real estate are the mark of a feudal economic system. In other words, if we rely on titles to land to identify ownership, then we can never own the land because it is truly owned by the tax collector and other lien holders. We are moving more deeply into a society where the tax collector and banking system have become the gatekeepers for people who want to pay for and use the land for productive purposes. But it’s all connected to the fact that the cultural norms in our society are built upon transferring a clear title to land when we buy and sell. Insurance is based upon it, tax liabilities are based upon it and the perception of property rights and liabilities are based upon the title. Imagine selling the “exclusive right of possession” to someone who wants to use your house? How is it your house? Well, it’s not, but because your name is on the title, the statutes give you the exclusive right to use it. This has made us slaves to the banking system and taxing authorities. What if you conveyed the title of your home into a limited liability company? Give it the same name as your street address, for example, a home at 123 Elm Street, is now titled in the name of “123 ELM STREET, LLC”. You then add a standard lease agreement into the LLC operating agreement and then “lease” the property to the next occupant. But what about equity and appreciation? We must break this cycle, this is what makes us slaves to the banking system, we think we can gain money from holding title, when it’s all a fraudulent scheme conducted by the banking system to keep us running in circles. Forget about “equity” and forget about the title, once conveyed into an LLC, it will forever remain and only the terms of occupancy will change within the operating agreement, from one occupant to the next. As more people do this, less and less people will need to have mortgages as prices on real estate plummet. As this trend continues, the prices of real estate will return back to the costs of construction plus labor and a contractor’s premium for building the home. The prices will not rise and fall with the banking system or the crooked “fed rate” system. No one will be concerned about selling the title anymore because no one will need a title to enjoy the occupancy of a home (or any property for that matter). But what about the property taxes and foreclosure? Yes, the property tax collector can still foreclose if the property taxes are not paid. The foreclosure would transfer the title to a buyer of the tax lien debt (whether deed or certificate), so the title would change. And if the occupant could not work out a debt with the buyer of the tax debt, it would allow him to foreclose. But because there is little invested, no expectation of any windfalls from equity or appreciation, it would be just as easy for that occupant to find another deal just like it with another property, a new LLC and enter into the operating agreement just like before, the only loss being the costs of moving. It would also allow the new tax lien buyer to hold the title in his own LLC and just continue like everyone else, sell occupancy and jointly control the title. This new arrangement would work for everyone. How would the occupant protect his interests in the property with insurance? We can take steps to mitigate risks without insurance, as used in the traditional sense. Your house should be located and constructed properly. Don’t build in a dry river bed or below sea level, and build it well so it can withstand the appropriate level of weathering. Even with all of these precautions, there will still be some risk to structural damages, but you will have greatly minimized this risk with planning, building and re-building. Because your name is not on the title, you won’t have any personal liability. If anyone were to sue the owner for a physical injury, he would have nothing more than a judgment lien (assuming he won because there was no need to defendant against the claim) and the lien would eventually expire or be severed in another foreclosure (it would be uncollectible). A renter’s policy would work perfectly to cover the contents of your home, it’s a lease agreement, nothing new. But you could install an appropriate security system and use vaults for certain items and locks on drawers, etc. While steps can be taken to greatly reduce known risks for your property, they cannot be totally eliminated. But your need for traditional insurance should be greatly diminished accordingly, or it should be diminished enough to where you would be willing and easily able to set aside enough money to cover them yourself. These remaining risks can be covered in the operating agreement by all parties as well, not just the tenant or the co-party tenant. Using residential homes in this way would eventually eliminate the need or usefulness for mortgages. In fact, in the near future, as these ideas are adopted, I believe mortgages will be seen as a “very stupid idea”. However, let’s say there is a mortgage, where the borrower is the LLC. It would likely a short term mortgage, more like a 7 year term, and a hard money loan (not from a bank). If the terms of the mortgage are not met, well, we already have laws in place to protect the lender. And look at the interests of the tenants, it would not be several hundred thousands of dollars in equity at risk, just some moving costs. In fact the costs of foreclosure, even uncontested, might be more than the value of the mortgage or the property. I see this as a trend, people are already realizing that we can use property this way. Maybe we will be recording these operating agreements on the blockchain, but that’s another subject. What will you do when the lights go out and the water stops running? This is my opinion of course, that the lights will go out, I think it is inevitable given the situation our government has created, but let’s not be concerned with the cause. Why should we not just be prepared to adapt to situations that might jeopardize our families? I think we should, we buy insurance, we have locks on the doors, we follow most of the rules of the road, most of the time, why not prepare for situations where we don’t have modern conveniences? People talk about “survival” and “prepping” and things like that, but I look at the subject in terms of a lifestyle change. Let’s face it, we’ve lost most of the really good knowledge from our grandparents, such as gardening, composting, saving seeds, canning, planning for future seasons, even harvesting water. We expect our infrastructure to deliver these things. We expect that trucks will bring food for us to buy, and that we’ll have the income to buy them, and that the water will always be running, in fact, we don’t give it a second thought, most of us anyway. One of the key pieces in this article that I really don’t discuss, is getting your immediate neighbors involved in their own efforts to undertake their own lifestyle changes of the kind I describe here. If you are the only one who is prepared in your neighborhood, you might become a target, It’s kind of like being able to save a drowning victim, but the victim nearly drowns you while trying to save his life. It is very important to have a community, ideally of about 150 families, from which you can get and give support. I’m going to describe some methods and name some products that I have discovered through my own research. I believe that preparing or undergoing this lifestyle change as I call it, does not require you to buy tens of thousands of dollars worth of equipment. While I name some brands here, I don’t make any money if you buy any of these products, I’m just naming them because I like them and have found them to be the most useful. Water is your most important and immediate need if the water stops flowing. You at least need some stored water, and for that, you need to know how much water you use, per person, per day, right now. Once you determine this, then you need to calculate a reduced amount based upon what you could live with, comfortably (again, not a survival mode, per se). Survivalists will tell you that people need about 3 gallons of water per day. I think we each use more than 300 per day, so make your plans based upon 30 gallons per person, per day and you should be easily able to make this adaptation. You at least need to filter water, but you also need to store some as you filter it. You should be able to start with a few days of stored water that you have already set aside, 100 gallons for each person. A family of four should have 400 – 500 gallons already stored. The easiest way to do this is using rain barrels that are designed for this purpose. You can buy them online or have them delivered to a local retailer for purchase. A normal price is about $80 each, but I’ve seen people get them for free from companies that normally discard them, so shop around. You want food-grade barrels. The water you store should be ready for drinking and it will help to have a way to empty out the water using a spigot or other mechanism so you avoid scooping out water by hand. The barrels should be elevated in a shaded or enclosed area, out of the sun. Obviously, there are other ways of doing this, I’m just giving you one way, you can build on it. Of course a well may be your best way to get clean water, just be sure it can be pumped manually and by a solar PV / battery type system. You need to be able to filter water from any source and replenish the barrels. You can use additional barrels to catch the water from the gutter system on your roof. If you don’t have one, you should get one as soon as you can. You want water purification tablets such as https://www.amazon.com/Quake-Kare-2GQK-Purification-Tablets/dp/B0007VSLK8, this is just one example of tablets. I prefer using iodine and a brand of black mica known as Adya Clarity®, https://www.amazon.com/AC32OZ-Clarity-Ounce-Mineral-Solution/dp/B002UCWDY2. You can research online to determine which of these will work better for you. You can also use chlorine because it does evaporate, so you just have to understand how to use these to make purified drinking water. Learn about how to create a water or rain catchment system for your home as you need a way to collect water and then filter it. That is the easy part, as you should eventually discover ways to filter “gray water” to conserve what you have. Sometimes you don’t have to be that conservative if there is enough rainfall in your area. Most of us need food in order to stay alive. If the trucks stop delivering food to the stores, you will need enough stored to sustain yourself and your family for a period of time. I’m suggesting that you have a minimum of 90 days’ worth of food in storage, and that you normally use this food, in date order, and replenish it along with your groceries. In other words, don’t just buy the survival foods and keep them in the basement and forget about it. Store food that you will use such as; beans, rice, oats, flour, salt, sugar (e.g. Turbinado), olive oil, canned goods, oats, grains, dried fruits, nuts, 100% fruit juices (no “drink” juices), honey, un-sulfured black strap molasses, pure maple syrup (Grade B), coffee, tea and even some whiskey and wine, and some hard candy. Also consider a wider range of spices, at least for nutrition, if not for taste and exchanging with your neighbors. The reason I suggest 90 days as a minimum is because that is about how long it takes to grow potatoes and most other vegetables. You will need the ability to grow at least half of the food you need to eat on a regular basis, but I suggest that your objective should be to grow 80% of what you eat. There are of course a million ways to do this, but I’m only going to share one with you. You might need a green house, or several where you live, or you might need an indoor growing tent, but for most of us, we can use an outdoor “square foot garden”. This is where you build a 4′ x 4′ garden with 1′ high borders and fill it with mulched and composted soil and plant four different types of vegetables. You might plant radishes in ¼, then tomatoes in another, and lettuce in another ¼ and then peppers in another. Research this subject to determine a gardening style that works for you. If you’re planting from seeds, be sure you use organic, heirloom, non-hybrid seeds. These are so easy to find, you can get a whole bucket of them from www.infowars.com and it will last you the rest of this century if you save your seeds and re-plant each season. You will also want to begin planting fruit trees that are suitable for your zone. Many fruit trees can begin producing fruit to eat in about 9 months, so do some research and include these with your gardening. You need first aid supplies and the knowledge of how and when to use them. Many, very adequate first aid kits can be purchased from your local Costco, Sam’s Club or BJ’s, or online; here are some you can visit: www.uline.com or www.rei.com. CamphoPhenique® is also a great medicine to have in stock, along with NeoSporin®. I also prefer cooking over a gasification stove, it requires no fuel to buy from the store or a supplier, I just have to go out and collect dried wood and it is 3 times as efficient as a grill or traditional campfire. You can find a really good gasification stove from www.solostove.com, I actually have one and have used it to make tea and eggs. I recommend three ways to light the stove, or whatever you are using, a flint lighter, a gas lighter or a magnifying glass / Fresnel lens. I mention Fresnel lens because we all have one and don’t know it, and it’s among the best sources for producing heat and fire. If you remove the frame from the front of a television, you can pop out the Fresnel lens. If you see a discarded television placed for trash pick-up, you might want to retrieve the lens. There are videos on youtube that describe how to do this. Get yourself a package of these “SE FS374 All-Weather Emergency 2-IN-1 Fire Starter & Magnesium Fuel Bar (Everything you need to start a fire!)”. You’re also going to want a large magnifying glass, I’d get a dozen of them, to start a fire during the day. You can also use a 6” x 6” Fresnel lens or something close to this size, very small. The easiest way though is just to use a gas lighter, the kind you use for lighting grills. Money will be helpful, but you can use what you don’t need to trade with others, especially from gardening and canning. But you should really have cash on hand, preferably in a mechanical safe, and then you’re going to want some gold and silver. The kind of gold and silver you want is American Eagles and grams, and you don’t need much, I’d say about $1,000 worth of fiat cash and $1,000 worth of gold & silver. At the time of this writing, you can get a gram or even a half gram of gold for under $50 and silver for under $1. The American Silver Eagles are about $20. Where did I come up with the amount you will need? I just made it up, think about how much money you had when you left home, it was probably less than $2,000, well it was for most people, so you’ll be just fine. If you stored up small bottles of whiskey, it can also be used for money, and so can salt and sugar. Just think it through. You can and should stock up on paper supplies such as toilet paper and feminine napkins, along with kitchen paper products, including paper towels. I would get only paper towels and not napkins, as the paper towels can be used for everything. These need to be stored in a cool and dry place and you should probably store them with a desiccant, something that will absorb moisture. Remember that desiccants can be toxic, but you might be able to use chalk or baking soda as a substitute. There are many videos online that explain how to store toilet paper and paper goods for the long term. Personal hygiene is important for many reasons, but your health probably the most. I would suggest preparing to stop using shampoo and softener type products and clean yourself with an anti-bacterial bar soap, and yes, use that to clean your hair. It should be made with honey, lavender, or olive oil, anything that is anti-bacterial. It is so much easier to buy this in bulk than make it yourself. I have bought bulk soap in loaves, but if you want to go big, buy it at a discount in blocks and get your own soap cutter to cut it into loaves and then usable bars. You want organic bar soap, made without animal fats, such as https://www.oregonsoapcompany.com/wholesale/bulk-bar-soap and http://vermontsoap.com/private-label-and-bulk-organic-soap/handmade-bar-soaps-and-soap-bricks/. You need a way to clean surfaces without relying on store-bought or caustic chemicals. The traditional ones that people used before the eighties are the best still today. We have Murphy’s Oil Soap®, vinegar, baking soda, isopropyl alcohol, Witch Hazel®, lavender, mint, and hydrogen peroxide. We can include bleach as well. You will also need brushes and sponges and rags. You will need to store a few tooth brushes for each person along with razor blades and the handles needed to use them. You won’t need shaving cream, bar soap works just fine, but who am I to tell you this, you can store what you want. You will want the widest variety of knives, but don’t start buying up everything, first look around your house and determine what you already have, you probably already have enough to be sufficient. You might need a better knife sharpener or a sharpening stone. One of the more useful tools is binding material, such as duct tape and twine. You may want a case of duct tape and a few cases of twine and rope. Include scissors in this list, a variety of them, even shears, but scissors will also be useful in cutting twine and grooming or cutting hair. You will also want to have a variety of and duplicates of flashlights or battery powered lighting. You will need shovels, axes, hatchets and sharpeners for each, or at least a sharpening stone. You will want candles, I’m recommending several cases of the 6” pillar, unscented, something like this, http://www.dlightonline.com/2×6-pillar-candles-white-36pcs-per-case-bulk-wholesale/, shop for price. You can make the use of candles around the house safer by placing them in an oil lamp fixture, or something like this. You will want bottles, such as Mason jars (assortment of vessels) buckets and bins, a large variety and made from both non-food-grade and food-grade, including materials from metal, glass and plastic, along with lids or ways to seal them. You’re going to need a tub or two so that you can wash clothing. I think about this with three premises, 1) plan to avoid having to use weapons for personal security and defense, 2) only have weapons that I am very familiar with using and cannot be used to harm myself very easily and 3) having to use a weapon in a confrontation with another person or group involves the other person usually bringing weapons to the scene, that I can use. I just have to take them away. The types of weapons that should easily be available and fairly easy to achieve a decent level of skill in using include, knives, swords, nun-chucks, staff, bow & arrow, sling shots, hand guns, rifles, mace, pepper spray, brass knuckles, poison, fire and shotguns. It is important to first note which weapons are best used for close proximity and which ones can be used at a distance. I prefer those situations and those weapons that can be used at a distance. I’m not going to recommend any brands here, there is plenty of information and training if you look for it. Just be sure you get the right ammunition and store it properly. As a general rule, I’d recommend not storing liquid fuel, except for maybe a small amount or what you want for a generator (a generator is one of the least important things to have when the lights go out, at least if your plan is to use it for the long term). Fuel could be wood or coal, and if stored safely, I see no problem with this. I just think that storing kerosene, gasoline, methanol or other liquid fuels is very dangerous and unnecessary. You’re going to need to make notes and send messages, so you’ll need a variety of paper and pens. You won’t need pencils unless you are home schooling because they require a pencil sharpener and erases usually. These are not necessary, and it would help to have a solar powered, or even battery powered calculator. You’ll also need a solar powered or hand crank powered radio in case you are able to get a weather report or hear other important news. Amazon.com has some very good ones, https://www.amazon.com/Epica-Emergency-Flashlight-Smartphone-Certified/dp/B00CZDT30S and here is another source, http://www.ambientweather.com/emra.html. We need recreation and entertainment, it’s part of what keeps us healthy. If the power is down, it will be useful to have several decks of cards, board games, crayons and coloring books, game pieces such as dice, Rubik’s Cube, and dominoes, etc. Be sure each person in your family has a properly working bicycle along with the ability to repair or replace flat tires, and a repair kit (or several) with tire pump. These may be your only reliable form of transportation for a while. It’s also a good idea to have sporting equipment, such as soccer balls, baseball, basketball, football, kick-balls, tennis balls and rackets, skateboard, frisbees, volley ball, and really good running or walking shoes. I don’t recommend all of the other equipment that usually goes along with the sports, but just the basics to stay in shape and have some recreational time. You will want a modest collection of cotton t-shirts, jeans, good walking shoes and under clothing, for men and women and children. These should be durable and easy to wash and easy to mend by hand or with a sewing machine. This leads me into the next subject, laundry. It’s really simple, we have to wash our clothing. We have always used a tub of water with soap, that’s all you really need. You can buy manual washing machines or make your own, that’s up to you, but it really is as simple as using clean water, adding soap, oscillating and then rinsing. After your clothes are washed, hang them out to dry. Notice how I listed this last. It is the least important aspect of these lifestyle changes, but it is important. The power grid may be working just fine, and with no interruptions, even if it is interrupted at some point, it may be restored quickly. Either way, you may want to explore the idea of producing your own energy, something like a hobby. I recommend this video by Tin Hat Ranch for starting: https://www.youtube.com/watch?v=w4qcoEXYqK0. Finally, you may want to practice now by having a “no power” day, at least once a month, or weekly. This is when you don’t use any electricity or running water in your home for one day, but try to live the same way you always do using the “alternate” methods. Here are two habits, using old school methods, that will end and prevent banks and the government from stealing your signature, its value, and committing forgery and counterfeiting. The section that follows will discuss new technology for utilizing your signature and protecting it from becoming a “blank check” for bankers, businesses and the government. This is pantographic security paper. It can be purchased in 8 ½ x 11” or 8 ½ x 14” dimensions, in 25 Lb. or 60 Lb. Bond Void Blue, Pantograph on one side, 1-up on 8.5″ x 14″ sheet. You can usually buy 250 sheets/pack and it usually has ten or twelve security features. It is also compatible with copiers, laser, inkjet and offset presses. ● Pantograph (hidden message) – When an unauthorized person tries to copy or scan the original, a “Void” hidden message appears. ● Color Match – The original color of Kan’t Kopy® paper can not be reproduced with any type of copy process. ● Kan’t Kopy® Artificial Watermark – An artificial watermark is manufactured onto the paper. ● Anti-Copy Coin Rub – Watermark on the back turns black when rubbed with a coin. ● Erasure Protection – Guards against erasing/modifying and scanning. ● Acid Free – Preserves documents for a longer period of time. ● Toner Grip – Enables ink from your printer to stick to the paper without it flaking or smudging. ● UV Paper Dull – Ultraviolet light will not brighten the paper. ● UV Paper Glow – Paper has embedded security fibers only visible under ultraviolet light. ● Chemically Reactive – Spots will appear if chemicals are used in an attempt to alter a Kan’t Kopy® document. You can find more information and similar products at https://www.blanksusa.com and search the Internet for “pantograph security paper”. In security printing, void pantograph refers to a method of making copy-evident and tamper-resistant patterns in the background of a document. Normally these are invisible to the eye, but become obvious when the document is photocopied. Typically they spell out “void”, “copy”, “invalid” or some other indicator message. Void pantographs work by exploiting the limitations and features of copying equipment. A scanner or photocopier will act as a low-pass filter on the original image, blurring edges slightly. It will also not be perfectly aligned with the directions of the document, causing aliasing. Features smaller than the resolution will also not be reproduced. In addition, human vision is sensitive to luminance contrast ratio. This means that if a grey region consists of a grid of very small dark dots the filtering will produce a lighter grey, while a region of larger dots will be affected differently (“big-dot-little-dot”). This makes it possible to see a pattern that previously was invisible. Numerous variations exist, including printing the marks using a raster of lines in one direction on a background of lines in another direction, or using fine line patterns that alias into a visible moire pattern when copied. When you affix your signature, use blue or red indelible ink and then emboss your signature with an embossing stamp such as the one illustrated here. Be sure to emboss over part of your signature with the image you have created for your embosser seal. I found this example at www.thestampmaker.com. It’s a desktop embosser you can customize with your own symbol or art and this gives a crisp, clear seal impression. You can send your artwork or image in one of the following file formats: tif, .pdf or .eps. It costs only about $50 or $60 and ships in one business day. Use this seal to affix your custom artwork or symbol over your original signature on the pantagraph paper. If the bank ever tries to foreclose, it will be obvious that unless it has this original document, identified by your security paper and embossed and sealed signature, the bank can never foreclose. No one can tell you what your signature must look like or how to make your signature, this freedom is what makes your signature legal and binding and worth money. You will be able to us these two practices in every note you ever sign. These two steps will eliminate the bank fraud, forgery and counterfeiting forever, we just have to pass this information around to everyone and encourage everyone to order his own security paper and embosser seal and use it at every chance. If you can see what I see, we can use these two simple methods to end the note fraud and we don’t even need to write more laws or file lawsuits. Remember that your signature is your private property and it is worth lots of money. You have the right to decide how and when it’s used. This is your responsibility. If we act responsibly using the information in this article, we can eliminate many of the consumer debt and corrupt banking and courtroom practices that we have witnessed in recent years. A blockchain is a type of distributed ledger, comprised of unchangeable, digitally recorded data in packages called blocks. These digitally recorded “blocks” of data is stored in a linear chain. Each block in the chain contains data (e.g. bitcoin transaction), is cryptographically hashed. The blocks of hashed data draw upon the previous-block (which came before it) in the chain, ensuring all data in the overall “blockchain” has not been tampered with and remains unchanged. A distributed ledger that is a consensus of replicated, shared, and synchronized digital data geographically spread across multiple sites, countries, and/or institutions. Blockchain applications can allow multiple parties to jointly sign documents, legally binding and replacing the need to having them notarized in such a way that no one can repudiate it’s date, content or signatures. Documents are encrypted, uploaded and their required signers selected, granting them immediate file access. Participants authenticate themselves, download, decrypt, review and digitally sign the documentation. Finally, when fully signed, documents are notarized. It’s useful on contracts, company workflows or any paperwork between parties; but it can also be used by oneself to record immutable proofs, like digital works attribution or integrity checks. I like to think of your “signature” as “the nature of your sign”. It is literally an expression of one’s will. It demonstrates consent, which leads me to the question for you, “When do you ever give unconditional consent to anything?” You don’t, not even in marriage. So why do we affix our signatures to terms and conditions without any terms of our own? Why do we give “blank checks” to the corporations, governments and banks? It’s because no one ever asked these questions or suggested that there was something to question about how we sign agreements or express our consent. Your consent should have terms. You can endorse a check, such as “without recourse”. This means that when you endorse a check with this endorsement, it then requires your bank to collect against the issuing bank if the check is no good. Today, the banks won’t accept this endorsement. The banks want you to do all the work, even though the bank is making money from your account and you are paying fees. Do you know who is using your signature once you sign documents with your doctor, or retail business, or government agency? If I told you just a fraction of what is being done with your signature, you would be fighting angry and rightly so. Banks and debt collectors pass around your documents like their playing poker at a casino, with no restrictions and no protections for your privacy or future and new obligations that are routinely created for you, just because one day in the past you expressed your unconditional consent by affixing your signature to a document with terms that a long list of attorneys probably developed over many years and in which you are expected to sign with only a moment’s cursory review. It’s time to act like a responsible adult and begin imposing terms on the use of your signature, restrict the parties who can hold or have access to the terms you sign, impose an expiration date for your signature, impose privacy terms and information management conditions with penalties for any violations. Here is an example of what I call a “Data Retention Policy” that can be ascribed to your signature as an endorsement, you simply include the phrase “with terms” above or before your signature. This is just one example, but I wanted to walk you into this idea because the best way to use it will be when we are using the blockchain to express our agreements that are attached to our signatures on the blockchain, at an address on the Internet, with as much or little privacy as you want. Imagine a signature with two or three factor authentication. It’s kind of like having two or three signers on a business bank account so that no one signature can authorize the release of funds. Remember, this article is about how your signature is money, you should act like it. Each time you express your consent with your signature, whether or not your sign your name with the letters in your legal name, or your signature is a phrase or a symbol or a blockchain address, it should be guarded with security and given with conditions and it should have a value placed on it, you should place a value on each signature of yours that you use. Many times, companies force upon us terms of service that include provisions that only protect the interests of the company. That is not a problem in itself, you want companies to protect themselves against liability, this is what facilitates them in providing products and services that we want; however, in recent years, these provisions have become so unreasonable that they are harmful to people or their customers. One of the best examples is the “binding arbitration” clause, where you waive your rights to resolve any disputes in the court system that you pay taxes to use when you have disputes that need a resolution. Another example includes the so-called “privacy statement”, in which nearly every one that I’ve ever read tells us what privacy we do not have and how the company can violate our privacy without penalty. Even though these are “adhesion contracts”, meaning, “take it or leave it terms”, unreasonable or unconscionable terms are void unless you fail to object or express your option to exclude them. In other words, whether or not the contract gives you an option to “opt out” of a provision, you can opt out of a provision that is not reasonable or unfairly prejudices your interests by serving notice upon the company at an appropriate, physical mailing address, such as its registered agent, general counsel, or dispute resolution address, or all of these simultaneously. Your “opt out” notice will simply include the date it was sent, and express your objection and intention to exclude the particular provision or clause from the agreement. You are not asking permission, you are simply placing the company on notice as to what terms you are excluding, and you don’t have to explain yourself, sometimes I do, but it’s not necessary. Be careful about creating conditions where you make a substantial change to the company’s risk, such as interfere with its obligations, you only want to be specific to what reasonably can be changed to protect your interests. Here is one example, while I usually want to opt out of an arbitration agreement, sometimes I will only change it to agreeing to “non-binding mediation” which is consistent with the intent of the agreement, but still gives me access to my court system if we don’t reach a favorable resolution of the dispute (hopefully we never have a dispute). When you express your consent, be very careful about the terms to which you are consenting and realize that you do not always have to “take it or leave it”. These are corporations, “persons” without a conscience, we are people, we have a conscience, we have natural rights, corporations are permitted to exist by people, they are subservient to people, act like it. This is no different than parents acting like parents with their children, or the boss being the boss on the job, or the people who created government in the first place, who then provide indemnification for the business (corporation) to function in our society by providing products and services to the people who created its rights in the first place. As many of you probably know by now, one of the most violent times in American history, and the period of time that helped to create the modern day mafia (organized crime), was created because of “Prohibition”, the law against the manufacture and sale of alcohol and fuel. The oil companies, bankers and government were behind prohibition because it was intended to prevent farmers from making their own fuel and alcohol from farm products. Prohibition was instituted as a means to expand and maintain control over our nation’s energy supply, and eventually, facilitate the monopolization of international power with the dollar and oil. It was an explosive period that led to the expansion of the black market (speakeasies) and bootlegging, which by the way helped the Kennedy family become rich, along with the mafia. We now have another chance to do the right thing and this time government won’t be able to stop us. The average person, not just farmers, but people who have access to a small piece of land, your typical suburban home (¼ acre), can produce his own fuel, fertilizer, clean water and food, completely outside of the destructive interdependent monopolies we have today. The power over energy can be decentralized among the people who use it instead of foreign powers and the costs will drop to nearly nothing. The following demonstrates what you can do, either some or all of what is listed here, to regain this power and enrich your own lives. Imagine having your own fresh vegetables right in your backyard. Imagine planting fruit trees that produce fruit within 12 – 18 months. Look here to see what fruits and vegetables you can grow in Florida. You can order some seedlings for fruit trees such as the banana, lychee, blueberry, and Carambola that will produce fruit within twelve to eighteen months, and be sure to order non-hybrid, heirloom seeds for what you want to plant from seeds. Water falls from the sky. Why don’t we collect it? This is money. We can easily add a rain barrel to the gutter systems on our roofs and instead of piping into one or two places in the lawn or garden, add it to your gray water reservoir and use it evenly for your gardens. You can even filter it and pump it back into your home for use in the kitchen and bathroom all over again. Composting toilets do not require water or plumbing, and high efficiency toilets do, but use far less water than the traditional toilets. I’ve researched this quite well and concluded that Separett and Biolet each have the best composting toilet, the Separett is half of the price of a Biolet, but each is probably worth the cost over the other brands. You can make your own biosand filter from components at your local hardware store. If you just want something off the shelf, two brands that I really like are Berkey and LifeStaw, you can find those online. Water can also be treated with ultra violet light, iodine, Adya Clarity (black mica) and tablets, and of course hydrogen peroxide and chlorine. You can only remove chlorine, arsenic and fluoride with a biosand or reverse osmosis filter. This is used for purifying “gray water” from your home. Gray water includes water from your shower and sink, but not your toilet (black water). You can avoid having black water by simply using a composting toilet. Search youtube for great examples of how to create your own constructed wetland and you will see that the best place for one is in your front yard, it will be a beautiful garden with a variety of flowers and plants that will purify your gray water. You then collect the run-off from the constructed wetland and either use it to water your gardens or pump it through a filtration system (biosand or reverse osmosis) and back into your home for use in the kitchen. Yes, this takes some plumbing and it changes the way we’ve been doing things for years, but remember that it’s your house and you need to decide how to manage your own resources. Here is an example of a constructed wetland used to treat gray water. Imagine the impact it would have on the energy system is just a fraction of people resumed using the same methods we used in the seventies and eighties to dry our clothing, a clothesline. Remember those? And it doesn’t have to be that perpetual awkward looking aluminum square frame in your back yard. Just hang a clothes line dispenser from your house in the back hard and extend the lines to a pole along the fence line only when you want to dry some clothing. You can also pick up some drying racks that can be affixed to the wall in your laundry room or bathroom, or stand alone in the garage, that will dry your clothing as well, mostly out of site. Add a desiccant such as “Damp-Rid” and collect the water to add to your constructed wetland reservoir. Try not adding to your energy load with a dehumidifier though, unless it’s on solar. Protesting in the street is for fools. You are only fighting with your own police at public expense and you really don’t accomplish anything, nothing substantial anyway. Evidence of this is that people still protest, why are we still protesting at this time in history? Because it doesn’t solve our problems. What will solve our problems is people doing things, changing their habits, opening their minds and cooperating, regardless of religious and political affiliations. I realize that many of you will not have the stomach for the following list of strategies for protesting in a way that will actually change our society for the better, and many of you will create excuses or believe it’s impossible to do these things, but I can tell you from first hand experience, doing most of these things myself for 25 years, it is possible and we should do them if we want our society restored to some degree of freedom. These are peaceful and intelligent (self-serving) methods of protesting. Some of these require more detail and explanation but just know that these things can be done, yes some with a little planning, but you can and should do these if you really want to emancipate yourself from this police state that has developed around us. These are first level strategies, which implies there are more levels, but I don’t think most people are ready for the first level, so I’m not going to list the second level at this time. Make a QR Code from the URL above and affix it to adhesive labels and circulate on $1 bills. Cash out of all bank accounts, all annuities, and life insurance. Roll over your 401k/IRA into allocated precious metals. Stop trying to be “politically correct”, say what you mean and speak directly, express yourself. Use encryption, cover cameras on devices, turn off microphone and video permissions. Use a virtual private network (VPN) to access the Internet and use “The Onion Router” TOR. Disconnect Internet when not in use or at night. Store electronic devices in a Faraday cage at night (copper mesh envelope/box or microwave). If you call a business and hear a message stating that “…this call may be recorded…”, be sure that the first thing you say when the employee answers is… “I don’t want my voice recorded without the license agreement…” and then continue with the call. Explain to anyone who calls you, any business or attorney that is, that the call may be recorded for security purposes and then record it. Keep the recordings in a computer file labeled appropriately. Use an alias whenever possible and as much as possible. When you buy or sell real estate (residential homes), do not transfer the title or get title insurance or homeowners insurance. Instead, make one final transfer of the title to an LLC and then write a contract for the “buyer” to simply take possession. Offset insurance needs by other financial planning and upgrading fixtures. Use Bitcoin or other cryptographic currency, cold storage and multisig wallets will protect you. Exchange your extra cash for silver and gold and store them in a vault. Buy a variety of guns and ammunition, get training, and store them safely on your property. Convert your lawn into gardens and help your neighbors do the same. Use only heirloom, non-hybrid and of course non-GMO seeds, and practice saving seeds and sharing. Convert lawn mower into “plasma fuel processor” (Paul Pantone) for battery bank. Build vegetable gardens and plant fruit trees on your property and in the community. Build a community green house, or hydroponic garden or aquaponic garden. Eliminate trash and trash-pick up with compactors, composting and neighborhood recycling for profit. Cultivate a chicken coop for food, sharing and trading. Cultivate a small fish farm for food, sharing and trading. Can your own food for sharing and storing. Patron your local farm, support the distribution of raw milk. Make your own soap and candles or buy at wholesale discounts from those who do. Buy discounted food in large quantities for storage. Buy paper products and soap at discounted wholesale prices for storage. Stock medical supplies, e.g. first aid, and traditional antiseptics, e.g. iodine & alcohol. Stock traditional liquors, to be used for medical, trade or consumption. Build a water management or catchment system for your house to filter and store water. Subscribe to and promote real journalism online and activist groups. Use cash or Bitcoin, do not use consumer credit. Replace central air conditioning with ductless system and solar heating for water and air. Replace toilets with composting toilets (Biolet). Place “Mason bee” beehives at morning sun-facing locations near your home and community. Boycott Obamacare and federal benefits. Get out of your “W-4” type job and become an entrepreneur (or do both while in transition). Operate your business, whatever it is, in the “Systeme D” economy, (the black market). Adjust your taxes so that on your next tax return, the IRS will owe you as much as possible, don’t file that return, then stop filing, stop using your SSN, stop getting business and occupational licenses. Stop using corporations for business, replace with associations and cryptographic currency. Use corporations and trusts only for holding title to property and removing funds from the bank. Form a community in which you can share these ideas. Home School your children, but don’t register or qualify with your county, do it on your own. Boycott vaccines & CDC schedule, at least for the first year after birth. Name your child what you want and record the name in your own private family records. Use this birth certificate for an International passport, use 000-00-0000 in place of SSN. Change utility bills, credit and banking into fictitious names with no SSN. Use a mail box address instead of your home address, and accept mail at your home using an alias. Replace your home address on your driver license with a different residential or mailbox address. Register to vote with an address in a county where you do not reside. Register your car in a fictitious name using the same address where you do not reside. Vote for honorable and respectable people who have already passed away at each election (write-in). Don’t use your driver license for identification, except at a traffic stop. Use an International Driving Permit (IDP) and a United States Passport for identification. If chosen for jury duty, attend, act like a stupid consumer so you will be chosen for jury duty and then inform everyone about jury nullification and the power of the jury over judicial offices and the court. Do not register for Selective Service. Upgrade your car engine to get better gas mileage (www,gadgetmangroove.com). Reject smart meter on your home and have it replaced with an analog meter. After you complete a water management system, disconnect from public water works. Ween yourself off of pharmaceuticals and get in shape, (P90X and Perricone Prescription). Replace D.O.E. student loans, with peer-to-peer lending and crowd funding for college. Assemble community scale recycling to produce factory grade HDPE pellets & glass cullet. Produce and manage your own energy using magnetic generator, battery bank and photovoltaic (PV). Dry your clothes on a clothesline. Produce hydrogen gas and methanol from solar for profit. A friend of mine called me on the morning of the World Trade Center bombing, while it was taking place and told me to turn on the television to see what was happening. I saw the first tower on fire. A few minutes later I watched a second airliner fly into the other tower and explode. I looked at my wife and said “They’re trying to save the Federal Reserve.” Of course she only had a blank stare in response. I explained that this is the beginning of some kind of war in order to perpetuate the Federal Reserve and the dollar. A short while later we heard Bush proclaim that it was a single terrorist who perpetrated this event and that the United States had to attack the country of Iraq because it had “weapons of mass destruction”. I didn’t know just how big the plot was, that is, that it would lead to a long series of wars in the middle east and I didn’t know that the event was also used to destroy evidence and steal gold, but I knew enough. I had been warning people since the early nineties about the Walmart locations being used to house our military and capture the people into some kind of totalitarian system of slavery. My comments were the brunt of every joke, no one could conceive of such a thing that long ago, and yet today people are shocked to be watching it from many sources on the Internet. Remember, I was saying this before the Internet had browsers to make it more accessible to everyone. Now we have unconstitutional laws and illegal policies such as the Patriot Act, National Defense Authorization Act, the so-called “FISA” court, the Affordable Care Act, and illegal surveillance, immigration, the TSA and the list has been growing since the World Trade Center bombing event. Everyone laughed when I explained that the war in Afghanistan was for the purpose of securing the poppy fields for the opium and to support our pharmaceutical industry while at the same time, importing illegal opium for the production of heroin. Since then, illegal drug use has increased by orders of magnitude, especially in the northwest. There has been an explosion in the use of opium for new pharmaceuticals. The reason I explain these things, that I saw much of what was coming twenty years ago, is because I want people to listen this time and even though some of my ideas may seem outrageous, they could save many households, especially if communities will work together. I’m going to make a new prediction, it’s about the future of money, and then I’ll explain how we can save ourselves from what’s coming by how we use money and our ability to produce resources. This article first introduces some concepts about the future of money and how it will finally be used to serve people instead of as a tool to enslave people. We’ll then explore some possible changes in the rules of court that will allow people to bring corporations back under control of people and to serve peoples’ interests first. And finally, we will discuss the future of robots, robotic systems and artificial intelligence in our society and how people can dramatically benefit from these innovations. The so-called “New World Order” plan sought by the so-called “elite” as referred to by some, includes forcing people into a cashless economy, for all the evil intentions you’ve probably heard. What these psychopaths did not expect is the Internet, cryptographic currency and the blockchain, and I’m not talking about the bankers’ version of these, I’m talking about truly open source, encrypted blockchain (distributed ledger) and Bitcoin applications. And if you believe that the Internet and Bitcoin can simply be made illegal, you lack enough information to understand why this is not likely (just like the World Bank’s failed attempt to levy taxes on the rain over Argentina). I’ll explain more later, but just know that a new, user-based Internet is being constructed around the world by its users so that there are no more Internet Service Providers that can be regulated. It’s called the “mesh net” or “IPV 6.0”. This will eliminate government from our Internet, while still allowing government to use the Internet just like everyone else. But let’s talk money. People produce money with labor. Money is gold and silver and people dig it out of the ground. Governments and corporations only use money. Profit is the productive use of money for the benefit of people who own corporations. Governments and corporations have been given too many privileges over the use of our money. They have severely abused these privileges and therefore, must be substantially limited in their use going forward. When a government or corporation issues credit or a money equivalent such as a bond, it does not become money until people work for it. Again, only people produce money and they do it with labor. I know some of you may have arguments in response because you attended some college courses in economics or have traded stock in a stock exchange, but but I’m not trying to be technically correct or comprehensive. My purpose is to publish some ideas to hopefully inform people about how to adopt better practices and save their families. Our immediate concern is that there is much gold and silver being held by governments and corporations. We want our governments to have some gold, but the corporations (with few exceptions) do not need gold in order to serve the interests of people. In fact, I will argue that while corporations may hold gold and silver, none of them are the owners of gold and silver because this is the money of people and it has been acquired by the corporations largely through illegal means, at least over the last century. My argument is that, for the most part, corporations holding precious metals today, such as JPMorgan, are doing so for the purpose of manipulating markets and re-capitalizing themselves after having spent the last century stealing our wealth. The precious metals that have been stolen by these corporations are not rightfully theirs; and therefore, these thieves are merely the trustees of our gold and silver and must manage them in a way that serves people exclusively and not solely for the profits of the corporations or their investors and executives. People need to realize that they do not need to hold and use fiat currency any longer because we have technology. We can use cryptographic currency along with precious metals and vault services so that we can have the best of both worlds, the use of precious metals, the security of Bitcoin and, when absolutely necessary, settlements in fiat currencies. This becomes a boycott on fiat and frees people to have privacy and the ability to accumulate wealth without this fiat system of gatekeepers that has been strangling humanity for hundreds if not thousands of years. Saving money using Bitcoin and precious metals actually makes good sense; whereas, the system of fiat we had before this technology made it a bad idea to save money like people did a hundred years ago. Now we can do that again and be rewarded for it and the longer we hold our money this way, the more buying power it will have. There are Bitcoin wallet services that allow you to store your money in any precious metal, a wide range of foreign currencies, and a range of cryptographic currencies such as Bitcoin and Lite-coin. Some of these are completely anonymous and some are not. Some of these services allow you to store your money in Bitcoin or gold until the moment you buy something at the point of sale. You might have a Bitcoin in your wallet service and when you use this account to buy groceries for example, the purchase is converted into the correct amount of dollars at the moment you spend it. People are quickly discovering that for the first time in known history, they can eliminate the gatekeeper system that had kept us unfairly confined. We can choose to avoid using the money equivalents of governments and corporations (i.e. bonds and credit). Beginning in 2009, people once again resumed their use of gold and silver, but with more sophistication using technology. People no longer need to hold metal coins for trading when they can now use Bitcoin for the settlement or transactions in gold and silver. People will stop adding value to the fiat currency equivalents created by governments and corporations. People are quickly discovering that they can replace their use of fiat for cryptographic currency with far more security, and have the use of real money. Couple this with a few more changes to how we’ve been doing things and we’ll see spectacular benefits for people and entrepreneurs. Bitcoin, and cryptographic currency in general, provides enough security so that we can use money in a more secure way that anyone has ever been able to do throughout history. This subject because quite complex so you’ll have to do your own research and discover the security measures of Bitcoin for yourself. But you will soon wonder why you ever thought a bank was a safe place to keep your money. First, change the way, at least residential real estate is valued or priced. Stop pricing it based upon what people are currently selling property for in a particular market, such as the “fair market value” or the “comparable” methods that are being used now. The valuation of real estate should be based on today’s current costs of materials, labor and a premium added by the builder. The price of real estate is going to fall for many years to come, and this is the perfect opportunity to get away from using the banking system to finance residential homes. People may even consider recording the title of a home during the next closing in a corporation and from that point on, sell only possession under an appropriate contract so that the title never changes. People, generally, will need to understand this and be amenable to the reasons for doing it instead of recording the title in the occupant’s name. The second change I recommend is in consumer lending. An aspect of my second point is consumer lending, so I wanted to explain that I’m including insurance in this category. Replace standard homeowners insurance with steps that limit risk and damage, such as fireproofing, upgrading fixtures and installing your own security and surveillance using the Internet. We can also offset our home insurance needs by using assets to not only pay for our homes (at least in part) but meet the balance of its insurance needs and maintenance costs. Combine this with insurance that covers only specific risks that are too high for the homeowner to accept on his own, such as catastrophic events like wind, earthquake or flood damage, and you have a very affordable plan for risk management. We can also form captive insurance organizations to serve these purposes and to take it to the next level, communities can work together to form their own private captive insurance organizations to provide homeowners with catastrophic coverage, as well as meet most of the needs of automobile insurance. We might still have a need to “outsource” some of this type of risk to larger companies, but I believe most of our car and home insurance needs can be met using these methods. When it comes to actual consumer loans, such as those between corporations and people, they must be limited to hard money loans that do not exceed 7 years. The costs of financing should be excluded from the actual money lent. The usual limitations on interest rates should be enforced without exception, no more pay-day type loans with the outrageous interest rates we’ve been seeing in recent years. We don’t need new laws in order to make these changes, we just need people to demand these types of loan contracts when they make consumer purchases. There are many legal form publishers online that allow anyone to create a loan contract with any terms and we can use these, without an attorney, to create our own loan terms using these criteria. It will require your own self-discipline and planning and you will need to avoid the temptation of going into long-term debts with high interest rates that have become the standard, at least in north America. Interest rates may be factored into the principal and fees and costs charged for the services provided by the lender, outside of the loan instrument. In other words, if I want to borrow $5,000 for a car, I pay the lender a fee of $150 for the service of lending me the money, and for a $5,000 face value loan, I receive $4,400, for example. Lenders should also be precluded from selling the loan contract, or any part of it. There are more traditional ways to offset this type of risk. We’ve seen what happens when car dealerships for example sell loan contracts before you even drive the car off of the lot. The dealership becomes nothing more than a banking facility instead of a car dealership. Considering these changes, people need to adopt new methods of obtaining financing with mechanisms involving “crowd funding” and “loan brokering” that are being done with software applications between people and businesses alike. I believe we will soon discover very many functions of government and corporations can be replaced by applications on the blockchain using its distributed ledger technology. This is nothing different than the trend to replace people with robots and robotic systems in factories, farming and industry. Existing methods of data management (e.g. collection of taxes, interaction with people), especially of personal data, typically involve large legacy IT systems located within a single institution. To these are added an array of networking and messaging systems to communicate with the outside world, which adds cost and complexity. Highly centralized systems present a high cost single point of failure. They may be vulnerable to an attack via information control systems and the data is often out of sync, out of date or simply inaccurate. Distributed ledger technologies (DLTs) allow users to modify records in a shared database, i.e. the ledger, without necessarily needing to use a central validation system that imposes its own standards and processes. The blockchain can improve record keeping in the public sector. Factom has reportedly partnered with the Honduras government on a blockchain program to record land ownership. The program’s goal is to reduce fraud and corruption associated with a government-controlled centralized registry by substituting that system with a transparent, distributed ledger. Other public sector uses include vehicle registries, digital identities for individuals, voting records and benefits disbursements. In the energy sector, a South African company integrated bitcoin payments into smart utility meter reading to enable customers to prepay utility bills digitally. This system is especially helpful for “unbanked” customers, and it is easier to administer. Horizontal blockchain applications apply to numerous industries. Such applications include automated audits, smart contracts and enhanced cyber security. Smart contracts – agreements that can automatically activate actions based on specific conditions – could reduce administrative costs by “self-enforcing,” such as requiring a driver to be current on lease payments in order to start a leased car. Blockchain technology can change the role of corporate audits by allowing a third party to verify a distributed network to ensure the transactions are accurate, complete and unalterable. Cryptographic signing using blockchain can enable immediate detection of data manipulation and verifying IT system integrity, giving blockchain a role in cyber security. Guardtime, a company based in Estonia, has explored such a solution. I believe this development can replace many of the labor intensive aspects of data management, removing the “middle man” so to speak and that we should embrace these changes. We should not fear replacing people with automated systems because this fear is based on the false premise that more people with more with jobs is better for the economy because of the “velocity of money” proposition. You will soon discover that this is false and used to keep everyone buying into the slave system we’ve experience over the last century. Smart contracts and the blockchain are also beginning to replace the need for a court system and attorneys in most transactions. Through a network of smart contracts built on the public Ethereum blockchain, the benefits offered by the New York Convention and other alternative dispute resolution services will be made more available. Still in its development phase, Andreas Antonopoulos and his co-creator, Pamela Morgan, CEO of Third Key Solutions, intend for the DAMN (Decentralized Arbitration and Mediation Network) to provide users with layers of choices regarding whether a dispute will be resolved by a person, an algorithm, pools of random jurors, pools of experts, through collaboration of the parties involved or even another DAO specially set up for mediation. Those who opt into the system will also be given a choice if the decision will be made public or not. Because the legal infrastructure set in place by the New York Convention is enforceable across borders in nations that also include China, the UK, Russia, Iran and Israel, the idea is that smart contracts that are compliant might also be enforceable. An attorney with a background in commercial arbitration has explained what she viewed as the true power behind the encoding of alternative dispute resolution services into the Ethereum blockchain. According to the non-profit democracy research organization Public Citizen, the cost of initiating arbitration is “almost always higher” than the cost of a dispute resolution within a court controlled lawsuit. In two examples provided on its website, the fee for a $60,000 claim was $221 compared to an arbitration fee of $10,925, an increase of 4,943%. Further, an $80,000 claim would cost $221, compared to $11,625 at an arbitrator, or a 5,260% difference. This can all be avoided and people can have access to the enforcement of agreements without the costly and cumbersome legacy system of gatekeepers and the courts. Pension funds, at least private ones, have been stolen by the big banks. You will need to create a plan to replace the benefits you expected from your pension fund. The assets of these banks should be held in trust and returned to the pension funds, but corruption may preclude this for some years. In order to compensate, people will need to immediately adopt the use of Bitcoin and precious metals and either acquire one or more cash flow assets or create one or more using the many opportunities we now have. Factored into this idea is the necessity for people to offset living costs using gardening for food, renewable energy production using their own homes and land instead of buying it from the energy grid, and producing clean water on their own properties. Imagine if everyone were growing vegetables, what would the price of vegetables be at your local grocery store? You probably would not have any being sold that way after most people adopted the practice of having their own gardens. In fact, people would probably freely exchange vegetables for free just to be neighborly. People will need to buy what supplies they can in discounted bulk, preferably at wholesale prices, and avoid buying processed foods. Instead, buy fifty pound bags of flour, sugar and rice. Buy bars of soap in loaves or blocks and cut it yourself. Plan on food and supply storage in terms of 90 days to periods of one or several years. The same is true for cleaning supplies, fabric, clothing, first aid and medical supplies such as antiseptics. Antibiotics will still require a physician or special storage facility with special knowledge on how to administer them and when. There is nothing wrong with having rely on a physician for things like this, only once in a while. The same is true for emergency supplies of blood, but we don’t need to see a doctor for every little incident. People can produce eighty percent of their own food by gardening, composting and canning. We can generate most of our own energy by first reducing our consumption of energy while still living very comfortably, but we don’t need to spend hundreds of dollars a month for our energy needs. Additionally, we don’t need to give away the recyclable materials (glass, plastic, paper and metals) each week for free so that they can be used to make enormous profits for a few people that run the waste management systems. These materials are money, we pay services to take them away when we already have the technology to partially process these materials on a community level so that these resources directly benefit people and not a few corporate assets for the 1/10 of 1 percent. People will need to work together and collect their own waste for the purpose of selling partially recycled materials including plastic (e.g. beads), glass (e.g cullet), metals and paper back into the manufacturing supply stream. The “velocity of money” is propaganda and a lie. We have been “taught” for years by the media that a healthy economy is indicated by higher velocities of money, in other words, the more that consumers spend, the better the economy becomes. The truth is that more consumer spending simply allows the people at the top to make more money while the majority of people buy more liabilities so that the people in the top 1/10 of 1 percent enjoy increases in the value of their assets that facilitate this consumer spending. We don’t need a higher velocity of money to have a healthy economy. Economies are local, they serve people. People do have a need to buy consumer products, such as electronics, entertainment, appliances, cars, furniture, food, medical care, etc. ; however, we don’t need to buy these things at the volumes and levels promoted by the propaganda given everyday, and we certainly don’t need to do it using credit. These seem like drastic measures, but are well within about abilities and without unreasonable costs. We can and will adopt these changes and this is why the so-called “new world order” has failed. Corporations do not and can never have the same rights as people as corporations are creates of statute and derive their existences from statutes. Corporations have no conscience and must therefore be regulated. People do not derive any rights from statutes and are the creators of statutes, not the subjects. It has become clear now that corporations, not all of them, but a list of them, have been used to exploit people and monopolize the resources that are rightfully and naturally those of people and not corporations. These corporations have engineered a legal system that protects them against real claims to correct and recover from damages they cause. The people need access to a forum within our existing legal structure that allows them to reasonably force corporations to be operated in a way that not only serves shareholders, but the people who are directly impacted by what corporations do in our economy. In each state, there is a supreme court that set the rules of how the courts can be used by anyone making a claim. These rules, known as the rules of civil procedure, set forth an adversarial forum in nearly every situation. I’m proposing that we need a forum, using our existing rules and statutes, that gives the court jurisdiction to solve consumer abuse situations where government agencies have failed and previous lawsuits have not given real solutions to the same problems. Corporations must serve people and to the extent they actually injure people, they need to be changed or dissolved. We can have our supreme courts add a new set of pleading requirements for the protection of consumers that would allow people (consumers) to use the power of the court to fix this system which has grown to exploit people. We don’t need new regulations or a top down approach, that has shown to only keep new businesses out of the marketplace. Instead, we need to give the power of regulation back to the people using the system we already have in place. We need a set of pleading requirements that creates a forum for judicial review that is not adversarial. It must have bonding requirements for the petitioner so that the chance of frivolous or destructive petitions is limited. An example pleading may require that a bond-fide list of adversely affected people be identified and that a substantial but reasonable bond be required before the court will hear the petition. The court would function much like an involuntary receivership, where the judge or a panel of judges may appoint a special master or trustee to conduct an audit or other investigation of the corporation’s activities. The “subject corporation” would not be permitted to appear or defend itself as this would not be an adversarial proceeding, but more of a remedial proceeding to correct problems being caused by the corporation. Today we have a problem with foreign corporations using the state courts to take property from people and many of these have not been domesticated and do not have adequate bonding. The states are thereby deprived of a substantial amount of revenue from this use of our court system. As aspect of the judicial review must include registration and bonding requirements that have not been met by businesses engaged in activities within the state. This must also include equal treatment for federal agencies, all of them. Agencies like the IRS, EPA, DEA or DOE would not be permitted to operate without first meeting the domestication and bonding requirements of the state, thereby making these agencies subject to judicial review and correction within this forum. The same would be true of corporations operating as monopolies in a market that is depriving people of the benefits of fair market competition. This judicial forum would be able to alleviate obstacles that are currently precluding companies from competing with those that currently have a monopoly stranglehold in a market. Yes, it’s likely that robots, robotic systems and advance software, soon to become known as artificial intelligence, will replace people in many professions and occupations People are afraid of this because the perception is that there will be less jobs and a greater surplus of labor and downward pressure on wages and benefits. I would agree with this premise; however, it’s not something to fear once you realize that we’ve been incorrectly taught to believe that the economy needs people working at jobs to make everyone prosper. The reality is that this propaganda has been published for the last century for the sole purpose of making the top 1/10 of 1% richer and the rest of us poorer. We must acknowledge that there are many more millionaires thanks to this system, but as we can see by current events, we are headed for a catastrophic, worldwide economic collapse. It’s doesn’t have to be so difficult, we just need to be reasonable and look at the truth. I know this is a limited view from having lived in suburban north America my entire life, but most of what people buy in the economy can be provided on roughly ¼ acre of land. We can grow about 80% of our own food, provide more than 100% of our own water and sewage needs and more than 100% of our own energy needs, including fuel for the car. Additionally, we can put our children through school, including college and post-graduate, for a few hundred dollars a year in today’s money by simply re-organizing those resources using technology. I will explain more about this in a future article. If this were currently the way we lived, what would be the individual’s need for money? Would it be about half of what is was, how about a fourth? I think it would be about a fourth. And I think that fourth could be further reduced by selling surpluses of food, water and energy. This is just the basic idea, the beginning. A quarter acre of land can nearly eliminate most people’s needs for money, because having your own food, water, shelter and energy, is money. Let’s revisit this matter of robots taking our jobs. Maybe it’s a little less frightening after considering the foregoing possibilities? Now imagine instead of showing up for work each day, you built a robot or artificially intelligent software program or a combination of the two, to replace you at work. But because you built this technology, you simply lease it back to your company to fill your spot. So instead of earning so much money per hour, minus taxes, you earn income from a contract with the company which is using your technology. Okay, I know this is not practical. I couldn’t build my own robot or AI platform, but I know that if one existed, I could invest in the technology along with hundreds of other people. In fact, we need to reconsider our entire participation in this economy. We need to look at the new technology that will replace people as a means to expand our investment opportunities. We need to own the robots, own the robotic systems and components, artificial intelligence (AI), intellectual property rights related to robots and AI, own the lease agreements, the contracts with companies that use these robots, service and maintenance agreements and insurance contracts and companies. We need to own every aspect of the industry where robots and IA replace people. But I haven’t forgotten about the most important element, energy. Remember that I was just explaining that we can and should produce our own energy on our own private property? Well, there will easily be a surplus which should be sold back to the grid. In fact, we should sell so much power back to the grid that we will have little need for utility scale energy production. In fact, we will finally realize that the systemic risks are too great to continue producing energy this way, and that individuals should be producing energy. This is the same source of energy that the robotic and AI systems will be using, once we control the energy, we control everything, people will then recover the political power that was stolen from them in the last century. One of the most important and recent innovations that millionaires will consider using for investment and entrepreneurial ventures is without question, Bitcoin. You’ve probably heard many explanations of what “Bitcoin” is, and I’m sure it’s all of those things and more; but I wanted to add some commentary from the perspective of entrepreneurs to the conversation. Specifically, Bitcoin and the blockchain technology are the latest and quickly becoming the most powerful tools of the social entrepreneur. More specifically, the social entrepreneur working in System D, the ten trillion dollar black market, global economy. If this is the first time you’ve heard of it, you should know it has become the worlds fastest growing economy, without Bitcoin. System D or l’economie de la débrouillardise is about getting things done, providing products and services to customers while avoiding unfair and monopolistic regulations and taxes. I felt it was important to include this mention of System D to demonstrate just how significant cryptographic currency and blockchain technology are, and will become. It is my opinion that those of us interested in renewable energy, sustainable architecture and humanitarian projects will need to understand all of the aspects of Bitcoin, cryptographic currency and blockchain technology. Bitcoin is one application within an Internet or network based mathematical protocol known as the blockchain. The important features of Bitcoin have their origins in the early nineteen-eighties and cryptography. Before the advent of blockchain technology within the Internet, a “blockchain” was a mechanical system used for heavy lifting, much like the pulley or hydraulics. The blockchain has become a metaphor to describe the “heavy lifting” that it is used for today as a network based mathematical protocol. The application that we’ve come to know as “Bitcoin” has recently been defined in different countries as currency, a commodity, and an asset, and these countries will continue trying to define Bitcoin and cryptographic currency for many years to come. The interest that nations have with cryptographic currency is most likely in taxation and third party regulation, the core structure of government itself. When I use the term Bitcoin in this writing, you can apply my explanation to nearly any cryptographic currency. I like to use the word “currency”, but remember, Bitcoin may also be correctly defined in many other ways, such as a “network protocol for the settlement of payments”. Bitcoin is an “open ledger” and its source code is “open source”, meaning that the program that runs Bitcoin can be reviewed by anyone and it can be downloaded and modified to create a new species of cryptographic currency or even a new application for the blockchain itself. Likewise, it is possible to review every single transaction since it was first launched on January 3, 2009. That’s correct, no transaction in Bitcoin is private or secret, every transaction is logged permanently into the blockchain database; however, it is possible to sever your identity from any transaction using the correct encryption techniques. One exciting prospect I wanted to comment on now is the possibility of requiring your local or national government to use Bitcoin or some version of it. A simple computer application could generate a daily audit showing exactly who is spending what money and paying whom, and with nearly zero cost. It could be made a matter of law that this audit is available on a website every day. The history of transactions could never be altered, ever. Furthermore, anyone using cryptographic currency in the commission of a crime could be investigated by the same police strategies that are used today, with a little consulting about blockchain technology in the early days of course. You have probably heard that Bitcoin was created by one or more individuals, probably hackers, under the alias “Satoshi Nakamoto”. You can learn more about this history at www.bitcoin.org and http://en.wikipedia.org/wiki/Bitcoin_network. It’s an interesting history but let’s discuss more about the terminology and common uses for Bitcoin today and in the near future. You will want to follow several of the experts who regularly publish interviews and videos about Bitcoin and its latest news. Two of these individuals are Andreas Antonopoulous and Max Keiser. My Youtube channel has a Bitcoin playlist with many of the best videos on the subject and you can find it via youtube.com under “singleton press”. There are many categories or subjects involving Bitcoin so I decided to simply organize this information with a list of each and then an explanation with references I felt were important. Let’s begin with an understanding of the Bitcoin structure or format as it’s used for money. Bitcoins began being produced or “mined” in January of 2009. At that time nearly anyone could allow the network to borrow processing time on a computer and at some point, the computer would reward the user for this with Bitcoin money. The production of Bitcoin s has been very intelligently calculated to mimic the mining rate of gold. Its protocol is limited to producing only 21,000,000 Bitcoin s. As of the year 2014, half of those Bitcoin s were already produced; however, it will take another 95 years to produce the last whole Bitcoin, and another 40 years to produce the last fraction of a Bitcoin, known as a “Satoshi”. The last Bitcoin, or fraction of a Bitcoin (Satoshi) will be produced in the year 2140. A Satoshi is 0.00000001 or one hundred-millionth of a Bitcoin. Instead of one hundred parts to a unit of currency such as for most fiat currencies, Bitcoin has one hundred million fractions for each unit. This makes is possible to ultimately have 2.1 quintillion units of Bitcoin currency. A “thousandth” of a Bitcoin (.001) is known by the notation mBTC, or a “millibitcoin”; and a “millionth” of a Bitcoin (.000001) is known by the notation μBTC, or a “microbitcoin”. It’s my prediction that these terms will be the most commonly used for Bitcoin s in the coming years simply because I believe that we’ll see Bitcoin s being sold for tens of thousands of dollars. At some point, possibly in the next twenty years, I’m predicting that no one will care how many dollars a Bitcoin costs because nearly no one will be using dollars for anything, or should I say anything important. Bitcoin is not recognized by the ISO and therefore does not have an official ISO 4217 code. A currency code is generally built from the two-digit ISO 3316 country code and a third letter for the currency. Although “BTC” is often used in the Bitcoin community, BT is the country code of Bhutan. An X-code reflects currencies that are used internationally and so, XE has chosen to use XBT to represent Bitcoin. The various Bitcoin exchanges you will discover provide you with rates of exchange from the Bitcoin to other currency and many are beginning to include rates from Bitcoin to precious metals. The website www.preev.com is one such free service, but it’s not an exchange. You’ll want to use “XAU” as the code for gold and “XAG” for silver since these may not be in the drop-down box. Let’s go back to the mention of how Bitcoins come into existence, through Bitcoin “mining”. Mining is the process of adding transaction records to Bitcoin ‘s public ledger of past transactions. This ledger of past transactions is called the block chain as it is a chain of blocks. The block chain serves to confirm transactions to the rest of the network as having taken place. Developers use computer clusters to solve complex mathematical equations and verify transactions, thereby earning, or “mining,” Bitcoin . The act of generating new Bitcoins and of tracking Bitcoin transactions go hand in hand, and both are accomplished through a process known as “mining”. This is where it starts to get a little complicated. Basically, mining occurs when a computer or a network of computers runs Bitcoin software. That software creates new entries in Bitcoin ’s public record of transactions, called block chains. The math is complicated and hard to forge, so the block chain stays accurate. Because anyone can download and install the Bitcoin software for free, the payment processing and record-keeping for Bitcoin is done in a widely distributed way, rather than on one particular server. When block chains are created, so are new Bitcoins — but there’s a hard limit to how many will ever exist. The system was designed to create more Bitcoin s at first, then to dwindle exponentially over time. The first set of block chains each created 50 Bitcoins. The next set each created 25 Bitcoins, and so on. New block chains are created roughly every 10 minutes no matter what; when more computers are actively mining, the program they’re running gets harder (and therefore slower) to compensate. Ironically, Bitcoin s don’t exist anywhere, even on a hard drive. We talk about someone having Bitcoin s, but when you look at a particular Bitcoin address, there are no digital Bitcoin s held in it, in the same way that you might hold pounds or dollars in a bank account. You cannot point to a physical object, or even a digital file, and say “this is a Bitcoin ”. Instead, there are only records of transactions between different addresses, with balances that increase and decrease. Every transaction that ever took place is stored in a vast public ledger called the block chain. If you want to work out the balance of any Bitcoin address, the information isn’t held at that address; you must reconstruct it by looking at the block chain. What does a transaction look like? If a person sends some Bitcoin s to another person, that transaction will have three pieces of information: An input. This is a record of which Bitcoin address was used to send the Bitcoin s to the first person in the first place (maybe he received them from his friend a week ago). An amount. This is the amount of Bitcoin s that the first person is sending to the second. An output. This is the recipient’s Bitcoin address. You need two things to send Bitcoins: a Bitcoin address and a private key. A Bitcoin address isn’t like a bank account; you don’t need mountains of paperwork and identification to set one up. In fact, they are generated randomly, and are simply sequences of letters and numbers. The private key is another sequence of letters and numbers, but unlike your Bitcoin address, this is kept secret. Think of your Bitcoin address as a safe deposit box with a glass front. Everyone knows what is in it, but only the private key can unlock it to take things out or put things in. When the sender wants to send Bitcoin s to the recipient, he uses her private key to sign a message with the input (the source transaction(s) of the coins), amount, and output (recipient’s address). He then sends them from his Bitcoin wallet out to the Bitcoin network. Bitcoin miners then verify the transaction, putting it into a transaction block and eventually solving it. Even though Bitcoin does not need a third party or a counter party to be involved in transactions (like your bank), they provide much needed services, especially for the Bitcoin user. It’s likely that the more sophisticated Bitcoin users never use exchanges or counter parties, but instead, use Bitcoin in its truest form, peer to peer, or payor to payee. You can use Bitcoin s for all sorts of real transactions. To do so, you first buy Bitcoin s however you like, either through your credit card, a bank account or even anonymously with cash. Then your Bitcoin s are transferred directly into your Bitcoin account, and you can send and receive payments directly to a buyer or seller without the need for a typical go-between, such as a bank or credit card company. By skipping the middle man in the transaction, you pay far less in associated fees. Each party in the deal can also maintain a much higher level of anonymity, which has both pros and cons for everyone involved. Think of Bitcoin s as a digital equivalent of a cash transaction. If you’re so inclined, it’s a nearly untraceable way to do business. Spending or receiving Bitcoin s is as easy as sending an e-mail, and you can use your computer or your smartphone. That simplicity belies the fact that there’s a whole lot of complicated math protecting all of these transactions to maintain their legitimacy and security. Two of the more popular Bitcoin exchanges are www.coinbase.com and www.blockchain.info. Either of these are recommended when you first get started; however, when you choose other exchanges, if you do, a good decision would involve considering how much investment capital the exchange has raised and it’s customer satisfaction history. It is probably a safe bet that those exchanges that have raised the most investment capital and have had little or no derogatory press would be preferred. I’m sorry to exclude the smaller, but possibly perfectly legitimate exchanges, but many of us are beginners. And maybe this goes without saying but don’t put your entire life savings or net worth into one wallet, especially with a third party exchange. You might even consider using your Bitcoin to buy gold from services such as www.bullionstar.com. Constructing a Bitcoin exchange involves using the right software and then complying with the rules of the jurisdiction in which the transactions are completed, that is, where your server is located. It makes sense to use the available open source software to build your own Bitcoin exchange that you can use for your own private group of friends and family. This will allow you to transfer your fiat currency into Bitcoin fairly easily, and own the entire process. One such company is just getting started, http://www.bex.io/. The rise of Bitcoin , the digital cryptocurrency, has resurrected the hope of facilitating easy micro-payments for content online. “Using Bitcoin micro-payments to allow for payment of a penny or a few cents to read articles on websites enables reasonable compensation of authors without depending totally on the advertising model,” writes Sandy Ressler in Bitcoin Magazine. This could lead to a whole new era of creativity, just like the economy that was launched 400 years ago by the Statute of Anne, which gave people who wrote books, plays or songs the right to make a royalty when they were copied. An easy micro-payment system would permit today’s content creators, from major media companies to basement bloggers, to be able to sell digital copies of their articles, songs, games, and art by the piece. In addition to allowing them to pay the rent, it would have the worthy benefit of encouraging people to produce content valued by users rather than merely seek to draw more web traffic. That was not technically feasible back then. But Bitcoin has now spawned services such as ChangeTip, BitWall, BitPay and Coinbase that enable small payments to be made simply, with minimal mental friction or transaction costs. Unlike clunky PayPal, impulse purchases can be made without a pause or leaving a trace. Crowdfunding is a funding method where common people like you and me, “the crowd” fund your personal or business project with their own money. There’s a term that we commonly use to describe this money-giving action; it’s called a donation. The main difference between crowdfunding and donation is that crowdfunding is tied to the American JOBS act that allows online sales of small stock to a huge pool of investors, although the act has not been passed yet. Nonetheless, you could still embrace the crowdfunding method to raise your project funds, as long as you don’t sell any kind of stock. Different crowdfunding site could have different a purpose or approach, but overall the concept is simple – you post your project to a large group of site users, or “potential investors”, and they will fund your project with money if they are interested in the project. you can start a crowdfunding exercise for free as you will only be charged when your project has raised some funds or the full amount. There’s nothing to lose and this is great for publicity. You will want to search for the top ten crowd funding services and each will better explain the possibilities and how it work with you to launch the project. Imagine a world where specific performance of contracts is no longer a cause of action because the contracts themselves automatically execute the agreement of the parties. Or where escrow agents are replaced by rule- and software-driven technology. Imagine instantaneous recording of property records, easements and deeds. Imagine a world where an auto owner who is late on his payment will be locked out of his car. While these scenarios may seem to come from a futuristic fantasy world, innovations offered by the Bitcoin 2.0 generation of technology may create a world where these seeming marvels are an every-day occurrence, and technology renders some contract causes of action obsolete. The blockchain, of course, cannot physically enforce a contract, or actually compel a person or entity to do anything. Instead, the blockchain can be used to enforce certain provisions of an agreement that can move an asset from person to person by agreement. Ownership of goods could be associated with a specialized coin, which can be transferred between parties along with payment in a virtual currency system, or in a specialized implementation of blockchain technology. For some transactions, the possibility of generating “chargebacks” might be very useful. For example, when trust cannot be established between both parties. In such cases, a trusted third party may be very helpful. The fact that Bitcoin transactions for example cannot be reversed by the payor could be an inconvenience or a reason not to use Bitcoin. This problem is alleviated by the use of escrow services that guarantee the terms of the transaction are fulfilled before it’s complete. You may want to review http://btcrow.com/ and https://bitescrow.org/. A Bitcoin Laundry or Mixing Service is a service that accepts BTC payments, and returns the same BTC amount, only from coins that are unassociated to the original BTC. It is a privacy service that works well if it has massive usage. It’s my opinion that complete privacy and anonymity are inevitable no matter what regulations are adopted, this concept of “mixing” and “laundering” perfectly legal transactions is just one example. As the cryptocurrency arms race escalates beyond identity verification at exchange endpoints, mixing services for Bitcoin may emerge as the next frontier in the battle for financial privacy. If Bitcoin exchange regulation becomes so effective that exchange operators are required to link specific Bitcoin addresses to individual customers, then users may have few remaining choices should they want to maintain transactional privacy. Call it the law of unintended consequences for overarching Bitcoin exchange regulation. Two facets of the growing political debate on anonymizing services are the traditional centralized Bitcoin mixers and the newer decentralized Bitcoin mixers that require a modification to the Bitcoin protocol. With traditional Bitcoin mixers, the process could become highly-charged politically and the regulatory status of mixing services called into question. Reliable legal jurisdictions for operating Bitcoin mixing services would therefore gain prominence since it reasonably could be viewed as a protected free speech issue. Potentially, Iceland could serve as a Bitcoin mixing haven. The emergence of services that mingle Bitcoin for the purpose of returning Bitcoin not associated with the original input address has had a somewhat spotty history. Also called Bitcoin laundries, these web-based services charge Bitcoin holders a nominal fee to receive different Bitcoin s than the ones initially transferred. The sites never handle national currencies like the dollar or euro so technically they are not exchanges. Also, the administrator of the service has to be trusted to delete any archival logs and not to run off with the coins. The largest such service operating today is the Blockchain.info mixing service which has a maximum transaction size of 250 Bitcoin s and a 0.5% transaction fee. Transaction logs are removed after eight hours and customers can use the taint analysis tool to verify that coins were properly mixed. Other services include BitLaundry and The Bitcoin Laundry operated by Mike Gogulski. Advances on the decentralized mixer front were highlighted in Olivier Coutu’s largely theoretical presentation at the Bitcoin Conference in San Jose. Although it resolves the trusted intermediary vulnerability, the political debate with decentralized mixers revolves around convincing Bitcoin core developers that it is essential functionality or creating a different Bitcoin client altogether. Either development approach would subsequently require majority support from the Bitcoin mining community. Zerocoin from Johns Hopkins University is a method whereby the trusted intermediary for mixing can be eliminated. The software is already written and soon to be released as open source code. However, it requires modifications to the core Bitcoin protocol and adoption by the majority of Bitcoin miners. With the current political climate tilting towards full disclosure for Bitcoin transactions, at least at the exchange level, it is unlikely that Bitcoin core developers would elevate Bitcoin privacy to an “all-hands-on-deck” emergency priority. Yes, open source projects are comprised of political animals as well. According to Johns Hopkins University cryptography professor Matthew Green, Zerocoin researchers are examining voluntary compliance options that reduce but don’t eliminate your transaction privacy, such as accountability limits on dollar amounts of anonymous transactions. This type of alternate approach to Zerocoin adoption would be possible without support of the Bitcoin client software. However, not integrating Zerocoin into the Bitcoin protocol would require third-party services to act as issuers of its anonymizing tokens with trust problems similar to the centralized laundry services. Vitalik Buterin of Bitcoin Magazine argues that Bitcoin is not losing its soul through regulation and that the core principles of the Bitcoin protocol, such as user-defined anonymity and user-defined transactional privacy, remain intact due to optional mixing services. This is a critical point because, when it comes to Bitcoin oversight, regulators and law enforcement must comprehend that which can be constrained versus that which cannot be constrained. Otherwise, legislators and government officials risk inadvertently steering Bitcoin advancements in the direction of even more liberating decentralized architectures. Remember, it was the forceful and horrific crackdown on casual file sharers that provided the impetus for the remarkable BitTorrent technology. One can only defer the Bitcoin privacy issue for so long. At some point, Bitcoin core developers, mining operators, lobbyists, and industry thought leaders have to take a principled position and decide on what side of history they wish to stand. To understand paper wallets and storage methods of Bitcoin , you will need to become familiar with QR Codes. Think of the UPC (Universal Product Code) on grocery packaging. You can download a free QR scanner such as “QR Reader” to your iPhone and scan this image and it will regenerate the paragraph you just read into text. Your Bitcoin key can be used to generate a QR Code. You have two keys per wallet, one is the “public key” that everyone can see and one is the “private key” that only you can see. You receive money or Bitcoin by providing other people with your public key, or the QR Code for your public key. I generated this QR Code via http://goqr.me/, but you will find probably hundreds of free services like this on the Internet with a standard keyword search. Cold storage involves keeping a reserve of Bitcoin s offline, using a method that makes retrieving coins from storage significantly more difficult than sending them there. This could be done for security such as to prevent theft or robbery. Because Bitcoin s can be sent to a wallet by anyone knowing the wallet address, it is trivial to put a wallet in cold storage while also keeping a copy of the addresses needed to send funds to it. A simple example of cold storage is opening a safe deposit box and putting a USB stick containing an encrypted wallet file in it. The public (sending) addresses can be used any time to send additional Bitcoin s to the wallet, but spending the Bitcoin s would require physical access to the box (in addition to knowledge of the encryption password). Cold storage would typically be used for holding large amounts of Bitcoin s, or for a trustee holding Bitcoin s for beneficiaries. In such a case, additional precautions should be taken beyond a simple example of a single safe deposit box. The trustee could die or become incapacitated. If access to the wallet or knowledge of its location is lost, or encryption passwords are lost, the Bitcoin s are gone forever. Provisions should be made so that the box can be accessed by someone else as appropriate, including any encryption passwords. You can use simple methods that do not involve more electronic technology, such as paper wallets. While you don’t need any special software for paper wallets, there are some very inexpensive kits you can buy for just a few dollars online that make printed wallets look very professional and provide a bit more security using bond paper and certain types of printer toner. Here are examples of the most popular electronic vault storage devices. The Trezor, no matter how unprotected your computer or internet connection might be, your coins always stay safe with TREZOR as it never exposes your private keys. TREZOR is an isolated environment for offline transaction signing and using a small display you can visually verify the transaction contents. That’s why all operations using TREZOR are entirely safe. TREZOR is Windows, OS X and Linux friendly. All you need to do is to connect your TREZOR to the computer and follow the instructions. There are only two buttons, to confirm or to deny the action, so using TREZOR is as easy and as intuitive as it can be. Users can backup the whole TREZOR contents on a small piece of paper and use this backup to regain access to all their coins in case of disaster, loss or theft. The TREZOR website is https://www.bitcointrezor.com/ and it retails for $119. And then BitStash, Secure wallet for spending on the go. Set a maximum amount to keep on mobile, and the wallet will automatically re-balance, topping back up when in range of BitStash™ Securely receive funds into home and cold storage wallets. Ultra secure hardware wallet for large balances. Use it for Trading, Online Shopping, Bill Paying, etc. Accessible from authenticated mobile, laptops & desktops when in range of BitStash™. True cold storage on a LUKS encrypted-USB drive. Immune from BadUSB malware. Safely store in a secure location. Can spend only when plugged into BitStash™. Also holds a fully-recoverable backup of all wallets. It’s website is https://www.bitstash.com/ and it retails for $199. And the latest innovation is the “Case” from Cryptolabs. When wallets moved to the cloud, security improved thanks to the use of dedicated servers with regular backups and improved features like two-factor authentication. However, using a secure cloud wallet to send Bitcoin involves a time-consuming process that makes the crypto-currency much more difficult to use than a credit card or other payment option. Shapiro says the pursuit of security has created complexity and led to an extremely cumbersome experience, destroying any incentive for the average user to adopt Bitcoin. The device is equipped with a fingerprint scanner and a camera to ensure access, keys to access wallets are embedded in a device, located on a specific server and stored in cold storage (access to each key is secured by different layers of authentication). Because the device is GSM-enabled, the wallet can be used in over 60 countries, and since it can fit in your pocket, Shapiro argues that it may be the first Bitcoin wallet to replace your actual wallet. Once you get into reading this, you may ask yourself if it’s possible to create your own currency. You may eventually realize that it’s just software and that you most certainly can create your own branded currency, for your business, for your family or in your own name. Measures in dollars, Bitcoin has by far the largest market capitalization at nearly $5,000,000,000. Ripple has nearly $200,000,000 worth of it’s currency in circulation. Litecoin (LTC ) is a peer-to-peer cryptocurrency and open source software project released under the MIT/X11 license. [ 2] Inspired by and technically nearly identical to Bitcoin (BTC), Litecoin creation and transfer is based on an open source protocol and is not managed by any central authority. Litecoin has just over $120,000,000 worth of its currency in circulation. This is a little different than just currency. Coloredcoin is a means of managing assets. Yes Colored coins might represent an alternate cryptocurrency if you consider where they get their value, where they come from, and who backs a colored coin. The rules for generating a colored coin can vary, how you track them can vary, and the value of a colored coin are independent of Bitcoin itself. For example, a particular colored coin might be inflationary, allowing the issuer to create ever more colored coin as they choose. So most of the aspects of Bitcoin could be overridden by a colored coin. No The argument against colored coins as an alternate cryptocurrency is that they simply use Bitcoin represent other assets. Colored coins can represent all sorts of assets, and colored coins are not limited really in what assets that they can represent. Cryptocurrencies are not so flexible, though a cryptocurrency can be designed to represent other assets (Ripple is such a cryptocurrency). Colored coins are defined in terms of Bitcoin today. That could change in the future. The main exception would be Ripple which acts very much like colored coins (i.e. they facilitate the exchange of assets using the power of cryptocurrencies). Yet Ripple is literally its own cryptocurrency. In the end, what is a colored coin and what isn’t is a matter of definitions. If you are interested in trading colored coins purely to exploit the changing values of the various colored coins vs other colored coins and other cryptocurrencies, then the difference between colored coins and alternate cryptocurrencies may be uninteresting to you. Because you are just interested in the value of the colored coin or cryptocurrency. If you are actually interested in the assets behind the colored coins, then colored coins are very different from Alternate Currencies. EgoPay is a global payment processor, which enables you to send money to your friends or family members, fund Forex or Crypto-currency accounts, shop online. As a merchant you can reach international companies. It is notable that the service is not available to I.P. Addresses in the United States or U.S. Citizens, but if you are out of this jurisdiction, you can buy unlimited amounts of Bitcoin . This services enables merchants to accept Bitcoin at the point of sale and then mitigate or manage the value against their local currency, such as the dollar. Settlement payments happen automatically, every business day. BitPay collects and deposits all payments processed from the previous business day directly to your bank or Bitcoin wallet, according to your settlement preferences. Founded in 2011, BTC China is the world’s oldest Bitcoin exchange, and a market-leading innovator of the new digital era. Under its portfolio are a number of mobile and desktop products including Picasso Mobile Wallet, Mobile Exchange and the BTC China Trader. The first Chinese Bitcoin startup to be VC-funded, it raised $5 million in Series A from Lightspeed China partners in September 2013. Currently, through its exchanges, BTC China offers trading of BTC/CNY, LTC/CNY, and LTC/BTC pairs, and has plans for aggressive international expansion. BTC China is proud to officially launch USD and HKD deposits and withdrawals, becoming the first Chinese exchange to support three fiat currencies. After an invite-only period, BTC China is thrilled to expand this service to all of its International Account Holders. During this trial stage, BTC China collected several million USD worth of deposits. This service will be processed via its registered Hong Kong affiliate. The Bitcoin Investment Trust (BIT) is a private, open-ended trust that is invested exclusively in Bitcoin and derives its value solely from the price of Bitcoin . It enables investors to gain exposure to the price movement of Bitcoin without the challenges of buying, storing, and safekeeping Bitcoin s.
The Bitcoin Investment Trust is designed for sophisticated investors looking for exposure to Bitcoin in a simple investment vehicle. The BIT addresses the confusing and cumbersome experience of buying, storing and safekeeping large quantities of Bitcoin s as an investment. Launched in 2013, the BIT is sponsored by Alternative Currency Asset Management (ACAM), a wholly-owned subsidiary of SecondMarket Holdings, Inc. (custodian and administrator) and an affiliate of SecondMarket, Inc. (marketing and distribution partner and authorized participant). ACAM has engaged leading service providers Ernst & Young (auditor), Sidley Austin LLP (legal counsel), Continental Stock Transfer & Trust (transfer and administrative agent), and Corporation Service Company (trustee). EXANTE is an investment services company that offers global multi-asset brokerage services on a wide range of financial markets, such as in the US, EU and Asia and specializes in providing Direct Market Access (DMA). What is Bitcoin? Bitcoin or BTC is a virtual currency of the Bitcoin system, a decentralized electronic cash system that uses peer-to-peer networking, digital signatures and cryptographic proof so as to enable users to conduct irreversible transactions without relying on trust. What is Bitcoin Fund? The Bitcoin fund is registered in Bermuda. Similar to Exchange Traded Funds, the Bitcoin Fund objective is to purchase and store Bitcoins; 1 Fund Unit = 1 Bitcoin. The investment objective of the Fund is to achieve capital gains in the Net Asset Value of the Fund Shares. The fund currently manages a portfolio of 90,000 Bitcoin s and has achieved a phenomenal +1000% return in its short 3-month history. As an investor, or anyone with a high net worth, or running a business, this information is absolutely essential if you intend to compete and succeed. Knowing how to use cryptographic currency and the blockchain technology is much like having good business credit and a merchant account forty years ago if you are serious about succeeding in business. And for those with a new windfall, it is just as important to have the same considerations for wealth preservation and asset allocation as if you were running a business, whether or not you like to consider yourself “retired”. Becoming rich simply creates a new vocation for yourself if you intend to be serious about keeping your wealth and expanding your net worth. Let’s begin with your home. Here is a list of changes you can make that will immediately reduce the load of your power consumption. You can do one or more and see dramatic results. There is a simple way to significantly improve the combustion in normally-aspirated gasoline engines. 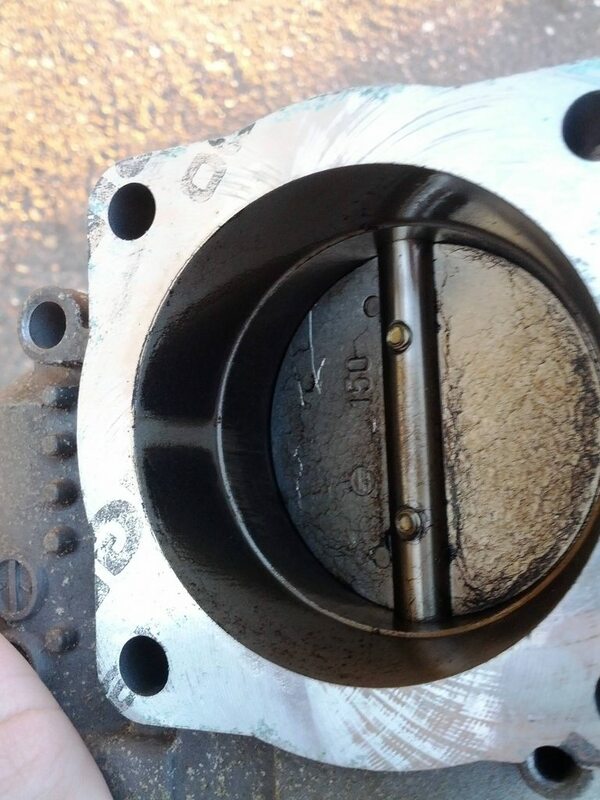 It requires a Dremel tool to cut a groove of specific dimensions, around 1/8 inch deep, in the throttle body. The modification takes about an hour and is reversible through epoxy. It shouldn’t affect the vehicle’s warranty. Somehow, the air turbulence that is set up by that groove has the effect of increasing horsepower, torque, and mileage, while decreasing emissions. Perhaps it is another manifestation of the famous Schauberger effect. The mileage increase is typically between 25 and 35 percent, though some reports are much higher than that; and a few show little, if any change. So far, it seems that older cars achieve better improvement than newer cars, because the computerized controls of the newer cars usually tend to work against the effect. Approximately 85% of the vehicles that have been modified with this groove have had mileage gains in excess of 20%. So far, the best results apparently have been found on 1996 – 2004 Fords. This is an example of the “feed-in-tariff” program in the U.K. There is another very successful one in Germany, but we don’t need the government’s involvement, we can produce surplus energy and manage it in a decentralized way at a profit. If you install an electricity-generating technology from a renewable or low-carbon source such as solar PV or wind turbine, the UK Government’s Feed-in Tariffs scheme (FITs) could mean that you get money from your energy supplier. You can be paid for the electricity you generate, even if you use it yourself, and for any surplus electricity you export to the grid. And of course you’ll also save money on your electricity bill, because you’ll be using your own electricity. micro combined heat and power (CHP). The UK Government’s Department for Energy and Climate Change (DECC) makes the key decisions on FITs in terms of government policy. The energy regulator Ofgem administers the scheme. Your energy supplier will make the FITs payments to you. The large energy suppliers are required by law to provide them; smaller suppliers are not, but many have opted to offer them anyway. Visit Ofgem for a list of FITs-licensed suppliers. The eligibility date is the date from which an installation becomes eligible for FITs payments. For most renewable electricity systems (with a declared net capacity of 50kW or less), this will be the date your FIT supplier receives a valid application for FITs. This will be after the date on which your renewable electricity system is installed, so it’s essential to send your application to your FIT supplier promptly – for absolute certainty, use Royal Mail’s Special Delivery. We recommend that you contact your FIT supplier (also known as the FIT licensee) as soon as possible to confirm the requirements below and make sure you know exactly what information they require from you and when they need to receive it by. Please note that you will only be paid for what you generate based on the meter reading on the eligibility date. This is likely to be a later date than when the system was commissioned so units generated before the eligibility date may not be paid. You should check this with your FIT licensee before system is commissioned. The rules are slightly different for an extension. If you add solar panels to an existing system, the eligibility date for the new panels is always the date they were commissioned, not the date that you send your revised claim in. This is particularly important if you want to claim the higher rate by submitting an EPC. The EPC must be dated before the commissioning date or you will not get the higher rate. Generation tariff: your energy supplier will pay you a set rate for each unit (or kWh) of electricity you generate. Once your system has been registered, the tariff levels are guaranteed for the period of the tariff (up to 20 years) and are index-linked. Export tariff: you will get a further 4.77p/kWh from your energy supplier for each unit you export back to the electricity grid, so you can sell any electricity you generate but don’t use yourself. This rate is the same for all technologies. At some stage smart meters will be installed to measure what you export, but until then it is estimated as being 50 per cent of the electricity you generate (only systems above 30kWp need to have an export meter fitted, and a domestic system is unlikely to be that big). Energy bill savings: you will be making savings on your electricity bills because generating electricity to power your appliances means you don’t have to buy as much electricity from your energy supplier. The amount you save will vary depending how much of the electricity you use on site. Once you are receiving Feed-in Tariffs, the rate you get will increase in line with inflation in accordance with the Retail Price Index (RPI). The tables below summarise the latest tariffs available for each technology. For the full list of tariff rates visit Ofgem. The export tariff for solar PV is currently 4.77p/kWh. For a site-specific calculation and bespoke report showing how much you could earn through Feed-in Tariffs for solar PV, try our Solar Energy Calculator. The export rate is 4.77p/kWh. The definition of ‘hydro generating station’ has been extended to include small tidal projects. A degression mechanism for wind and hydro technologies (micro-CHP not included) will become effective from 1 April 2014 (baseline 5%, though this will depend on previous deployment rates). For a site-specific calculation showing how much you could earn through Feed-in Tariffs for hydro, wind and solar, try our Cashback Calculator. Ask your installer to register you on the central MCS database. The installer will then send you a certificate confirming MCS compliance. for solar PV, the Energy Performance Certificate that shows your home has an energy efficiency rating band D or better. agree with you if and when you will need to provide meter readings and when they will make FIT payments to you – these will form part of your statement of FIT terms. Bitcoin is not subject to taxation by the IRS any more than it can tax any other foreign currency, or collect taxes from the sand on Mars, for that matter. Bitcoin is a “stateless” currency, however you want to classify it. As of November 2016, the Inspector General for the IRS is recommending that the IRS create new procedures by which the currency can be taxed, but this doesn’t change the tax status of the currency, it’s immune from taxation (i.e., not exempt, or just not recognized). Failing to collect taxes from Bitcoin transactions does not contribute to the “tax gap”, in fact, if Bitcoins are exchanged for USD, the USD may become subject to taxation under the current rules, and this would offset the true contributors to the “tax gap”. As of today, state and federal tax agencies want you to report your Bitcoin income in terms of USD, and that would be taxable. The real question is when do I have to report my Bitcoin in terms of USD, just like the question, when do I have to report how much money I saved with coupons as if it were taxable income in USD? I’m going to refer to the recent memorandum published by the Internal Revenue Service, “Notice 2014-21” it’s found at http://www.irs.gov/pub/irs-drop/n-14-21.pdf. Remember that this is not a law and it’s not been published in the Federal Register (a daily publication of the US federal government that issues proposed and final administrative regulations of federal agencies). This notice only refers to existing legal standards. Keep in mind that you will need to review the definitions in 26 USC 7701 http://www.irs.gov/pub/irs-tege/eotopici92.pdf such as “trade or business” 7701(a)(26) as this term specifically means “the performance of the functions of a public office”, and does not include Bitcoin mining as indicated in this memorandum. Also, the term “wages” means specifically remuneration paid to officers, employees and elected officials of the United States government, within territories and possessions of the United States government (which specifically exclude the 50 states, except federal lands an enclaves within the 50 states). You’d have to review the statues and regulations for Sections 3401 and 3121, both in the United States Code and Code of Federal Regulations, but I’ve summarized it for you above. However, if you invest in Bitcoin from a fiat currency of a country, and then sell your Bitcoin for the fiat currency, and realize a gain, that will be subject to taxation in the fiat currency. If you convert your after-tax money into Bitcoin and never convert it back into fiat, it cannot be taxed, no matter what laws are in place; however, if you report your Bitcoin activities as being taxable on a government form and under penalty of perjury, you will be taxed and subject to taxation. In order for Bitcoin to be taxed, there would need to be a central authority responsible for the administration of Bitcoin. Of course the opposite of this is true. Bitcoin was designed to operate within a network over which no one party has exclusive power or responsibility. It is regulated by its mathematical protocols and changes are made by a consensus within the network. There is no taxing authority for Bitcoin and by its design, it can never be taxed. The volatility of precious metals comes from measuring the purchase price of precious metals with fiat currency. It is the fiat currency that is volatile, not the precious metal. Gold can buy the same amount and quality of materials today as it did 2,000 years ago. The same appears to be true for Bitcoin since it is also a deflationary (or stable against fiat) currency. There are no new tax laws imposing a tax on the use of Bitcoin or any cryptographic currencies. There is only a memorandum recently published by the IRS that discusses reporting procedures so that any transaction that should be taxed is understood by the taxpayers under the same laws to which they are accustomed to following. Does money deposited in Bitcoin change in value like a stock? No, 1 Bitcoin will always = 1 Bitcoin, but if you convert it to fiat, you will have a fluctuating price (not necessarily value). I thought it protected our money from US currency volatility. It does, if you use Bitcoin for its intended purpose, to buy goods and services. Just based on the concept of a crypotocurrency, I would have thought it should remain constant. Not true? It does, if you use Bitcoin for its intended purpose, to buy goods and services. Stock price for Bitcoin, if I bought Bitcoin stock, would be volatile, of course, that’s the nature of the stock market, but why would a deposit in a Bitcoin account change in value? I also know of one Russian company that I mentioned in one of my previous articles, Exante. Buying into these types of funds is one way to invest in Bitcoin but why tie in your Bitcoin investment with a fiat currency this way? Why not invest in an existing Bitcoin exchange or a mining pool? How does classifying Bitcoin as property change your recommendation? It does not. It seems as though it would take away it’s advantage as a currency that the government can’t sink it’s teeth into. If it’s property, IRS can tax it, right? Or is their taxation relevant only to the stock? “Q-3: Must a taxpayer who receives virtual currency as payment for goods or services include in computing gross income the fair market value of the virtual currency? Maybe the legal definition will be determined to be that any cryptographic currency pertains to one’s freedom of expression, or it’s the exchange of information, or it’s language, or represents a property right (a record of a property right) and not property in itself. We have a long way to go before these considerations become part of the legal framework of regulation and taxation. If your restaurant sells toast and coffee for $3.00, and you sell this to a customer for an equivalent amount of Bitcoins, it is logical to conclude that your restaurant must report the sale in terms of taxable currency, the USD value of the Bitcoin at the time of the sale. But what if your restaurant is a tax deferred business? The Bitcoin sale would then not be considered a taxable gain until it was converted into USD. If you are using a merchant service such as Bitpay, this could be managed so that you could allocate your Bitcoin into an account to be reinvested, pre-tax and tax deferred, back into your business. Remember one important fact, out of the 25+ volumes of tax code and 50 or so volumes of income tax regulations, there is not one definition of what constitutes “income”. The term income is not defined in the Income Tax Code. The most widely reported aspect of the IRS ruling on Bitcoin has to do with its treatment as property. This is a favorable ruling (very important to note is that a letter ruling from the IRS pertains only to one taxpayer and one transaction, there is no letter ruling as stated in this article, it’s a notice, much like an open letter) for most investors given Bitcoin’s stellar performance to date, as accrued long-term gains and losses will be taxed at the taxpayer’s applicable capital gains rate (15% in Joe’s case, we will assume that Joe is married and that he and his wife made a combined $100,000 of taxable income in 2013), rather than ordinary income rates (25% for Joe). For many early Bitcoin “miners” and investors, this constitutes a massive difference in marginal rates. That said, active traders who have racked up short-term capital gains may still be taxed at ordinary income rates. The comments in the audio “The Beginning of the End of Bitcoin” are opinions of the same type of people that thought that no one would ever need more than 64K of memory in his computer. This is a comment I received recently: A few weeks back I heard part of program about bitcoins with examples of some losing their money b/c bitcoin and its encryption is relatively new and not perfected as yet. Why is the Federal Reserve Bank of St Louis Vice President, David Andolfatto, quoted on January 18th 2015 stating “We’re a Protocol Just Like Bitcoin.” The quote was actually longer, but you can see for yourself: http://www.coindesk.com/federal-reserve-bank-vp-protocol-just-like-bitcoin/ Why is this one hundred year old institution, that has been robbing us blind since its inception, now comparing itself with a new monetary system that will ultimately end its existence? In any case, referring to your comment, this is not the reason someone would lose his Bitcoins. The cryptographic protocols within Bitcoin and the Blockchain are perfect, but if you lose your private key, you lose access to your money, even though it still can be “seen” on the blockchain. You will want to get the Kindle version of Mastering Bitcoin by Andreas M. Antonopoulos. Once you’ve read this, none of these wacky comments will ever matter to you. Please note that you may believe what I’ve explained here contradicts what the IRS explains in its publications, but be careful about the meaning of the terms. The terms used in the Internal Revenue Code and implementing regulations are not the same as the street terms we use everyday, such as “trade or business”. The key point here is that if a third party is reporting a payment to you in Bitcoins on forms such as the W-2, K-1 or 1099, you should then report as they explain unless you can make other arrangements. Remember that none of these publications or notices are binding as a matter of law, they are merely guides for tax professionals and taxpayers. You will want to see the agenda and list of speakers and it’s free to register from what I can see. Once you click on the link to register, you will only have 30 minutes to register before your seat is released. My guess is that a summary of the conference will be published afterward.